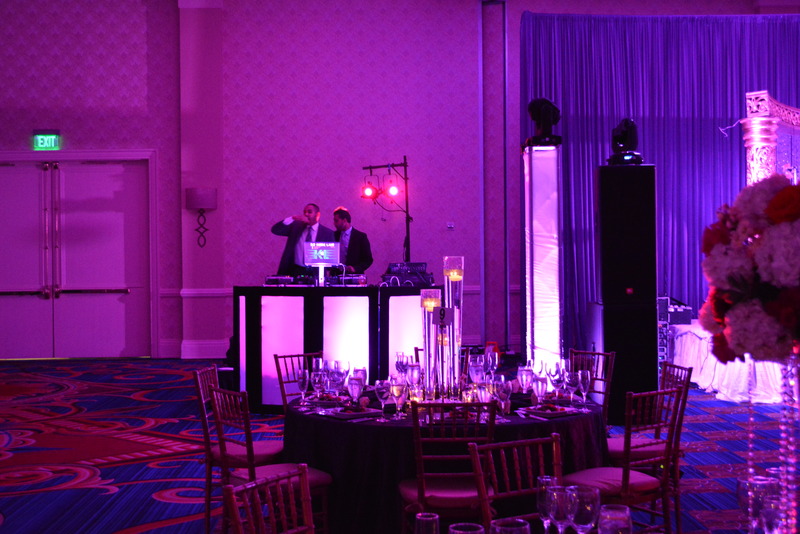 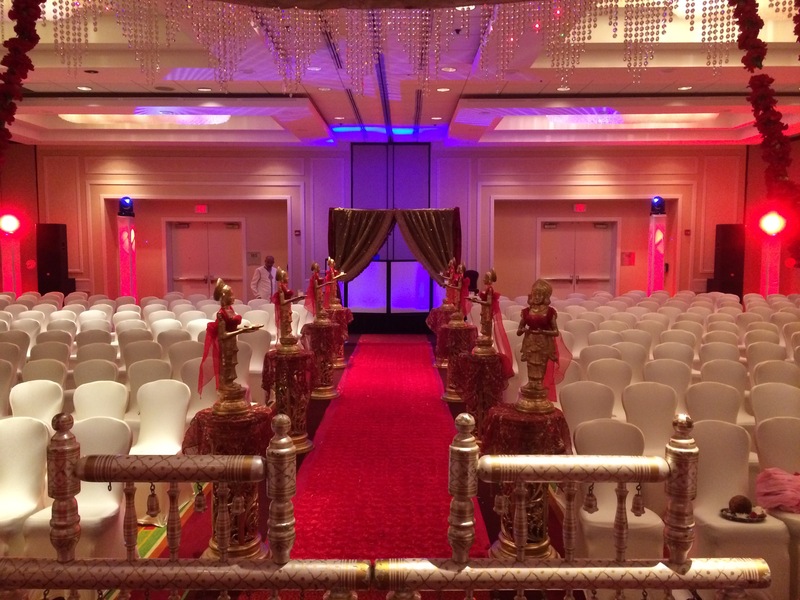 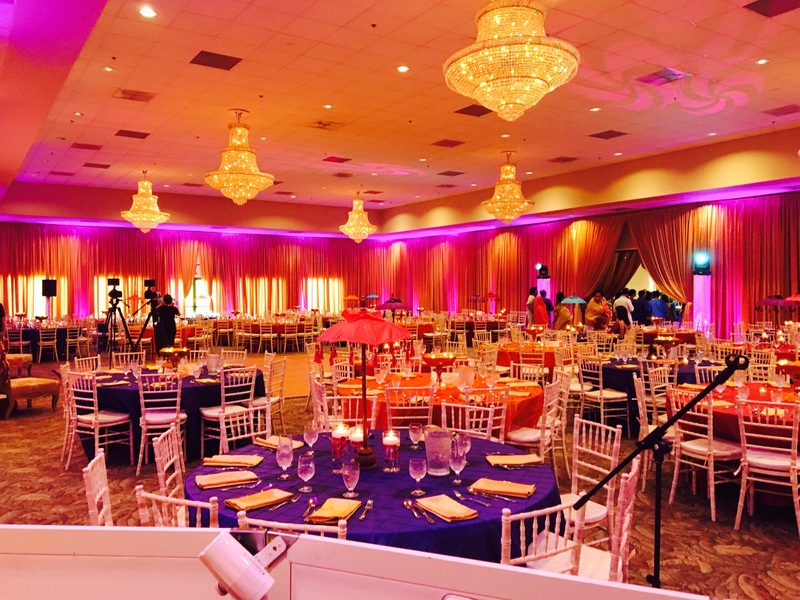 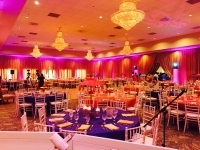 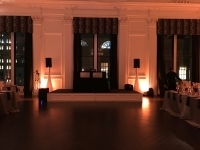 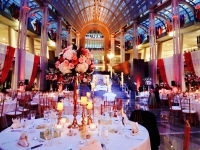 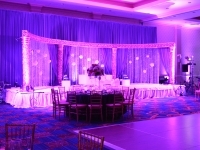 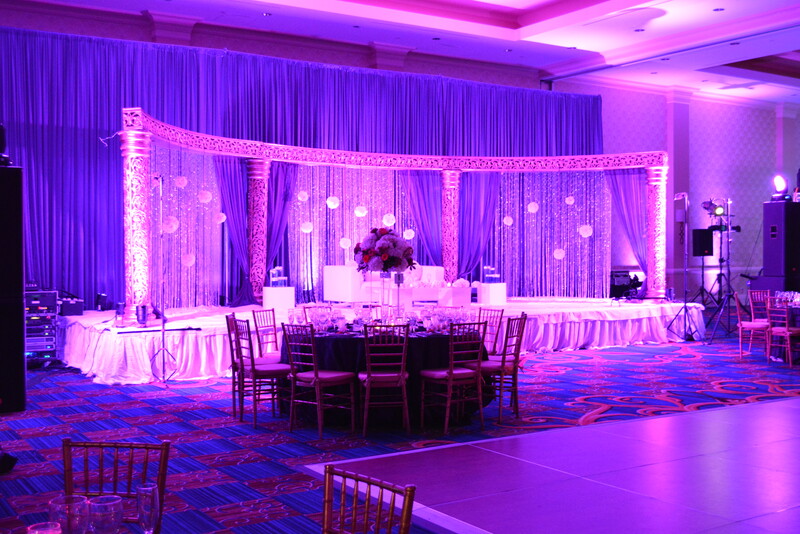 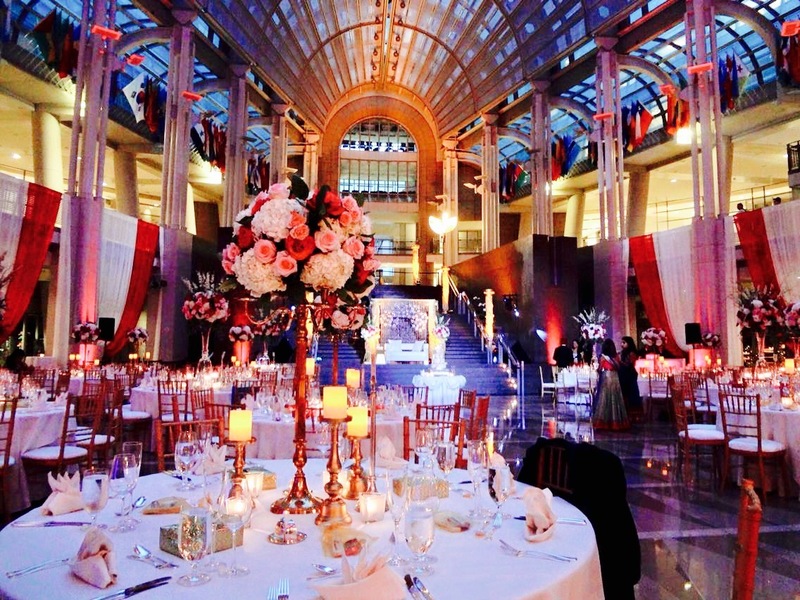 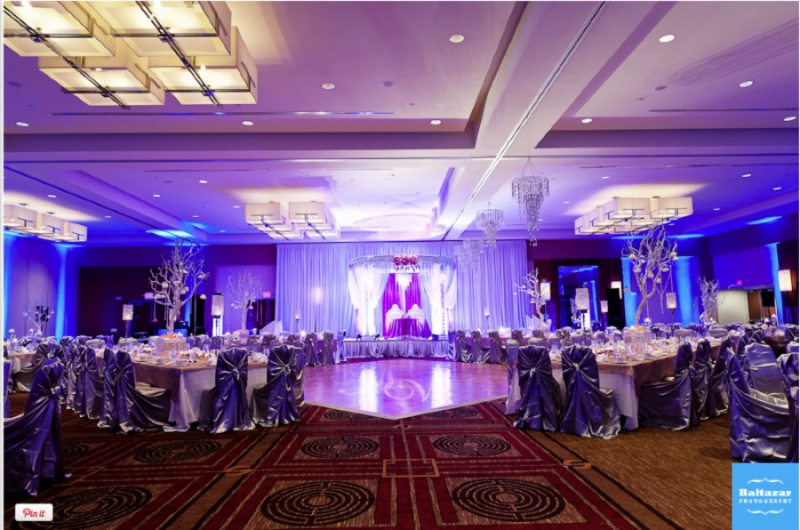 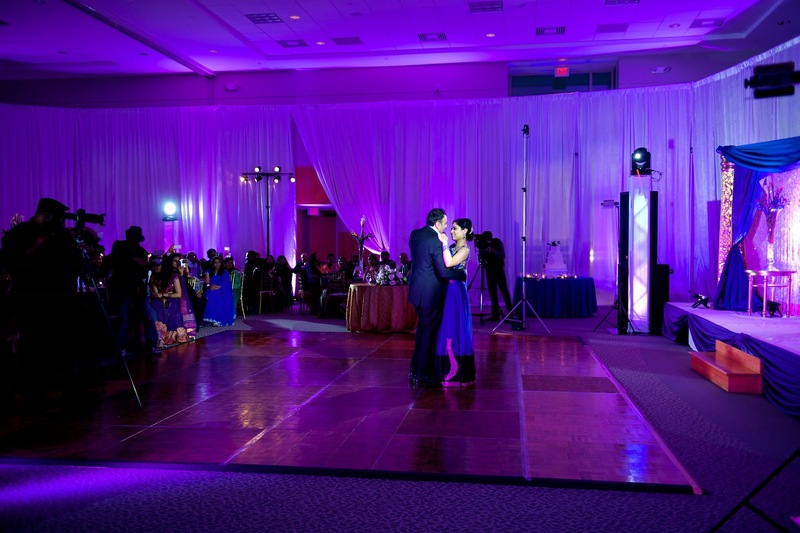 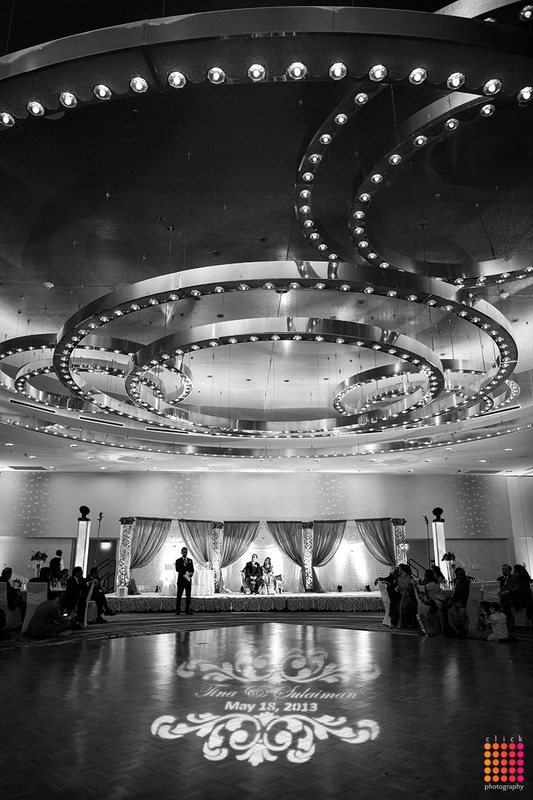 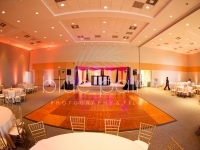 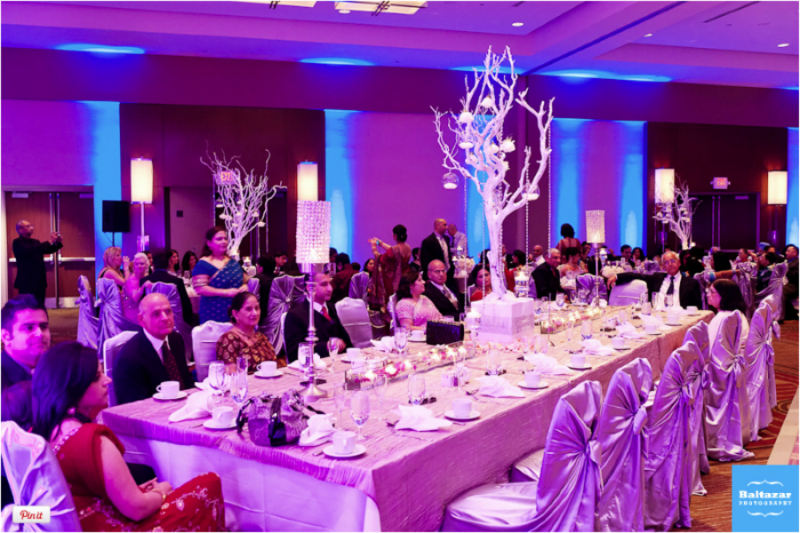 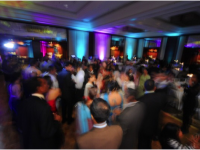 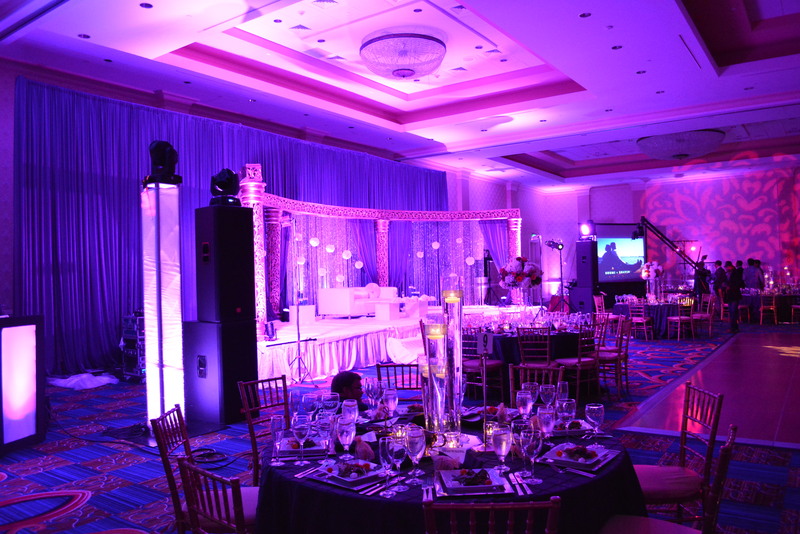 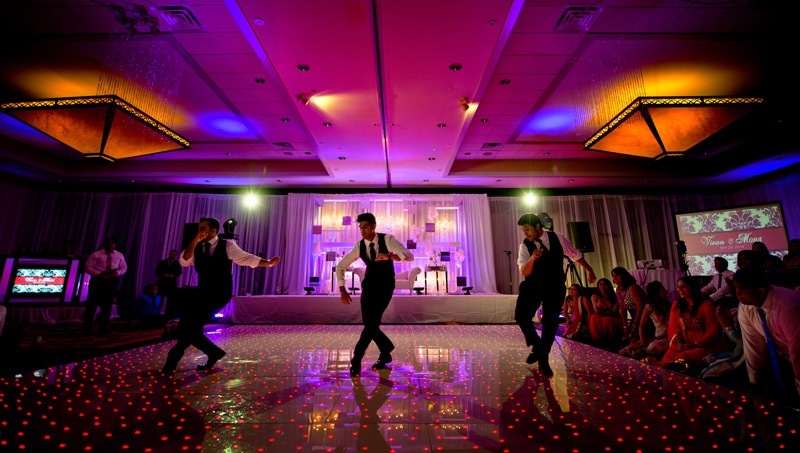 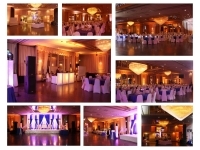 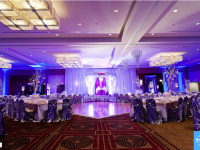 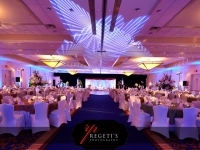 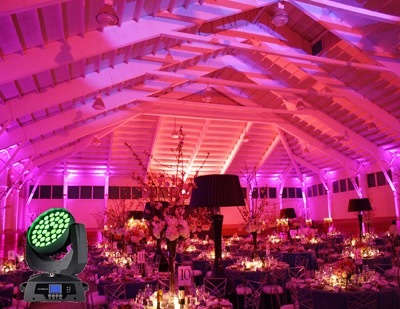 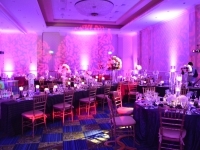 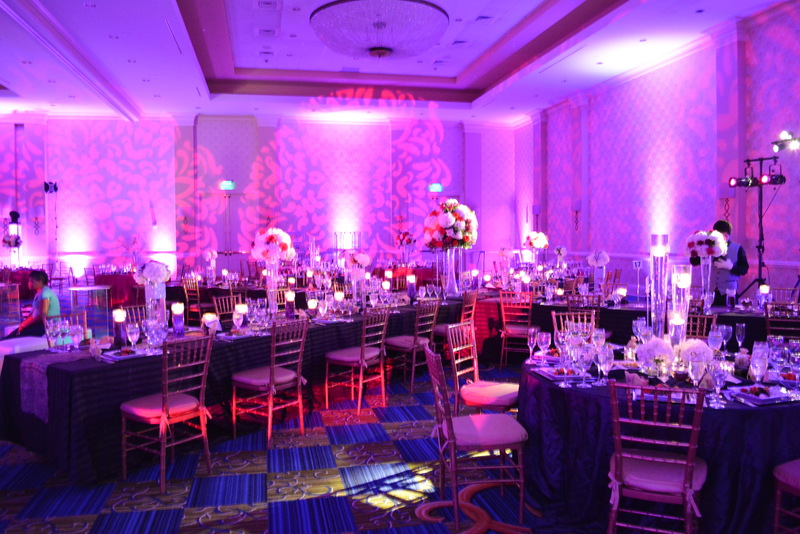 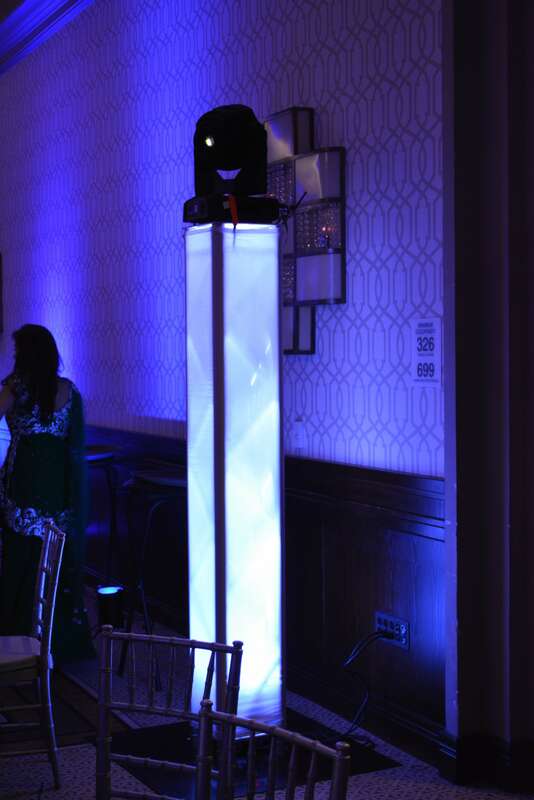 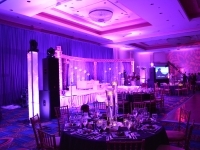 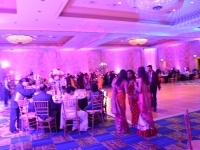 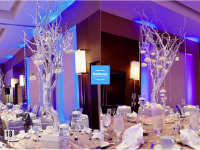 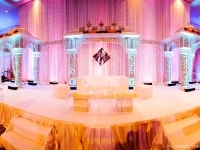 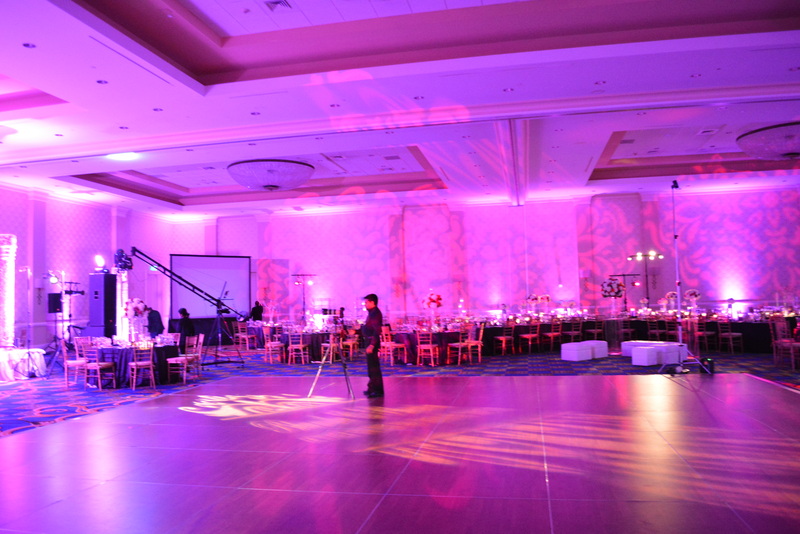 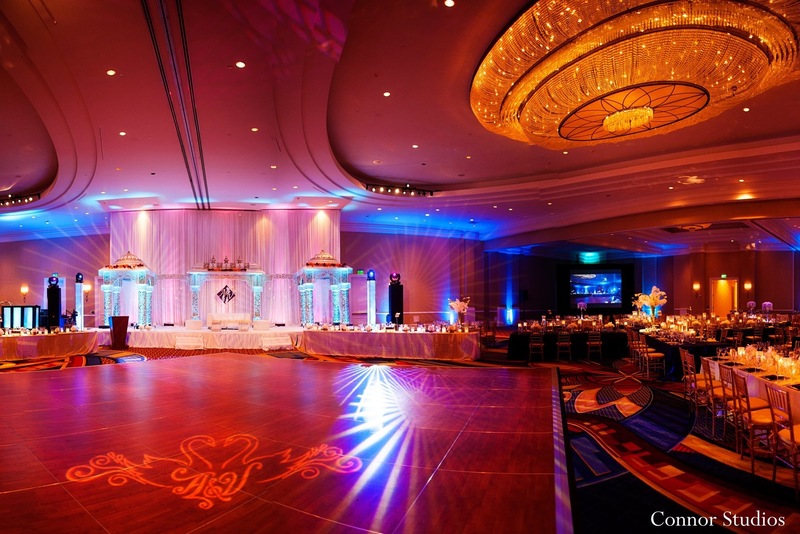 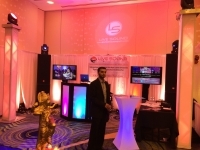 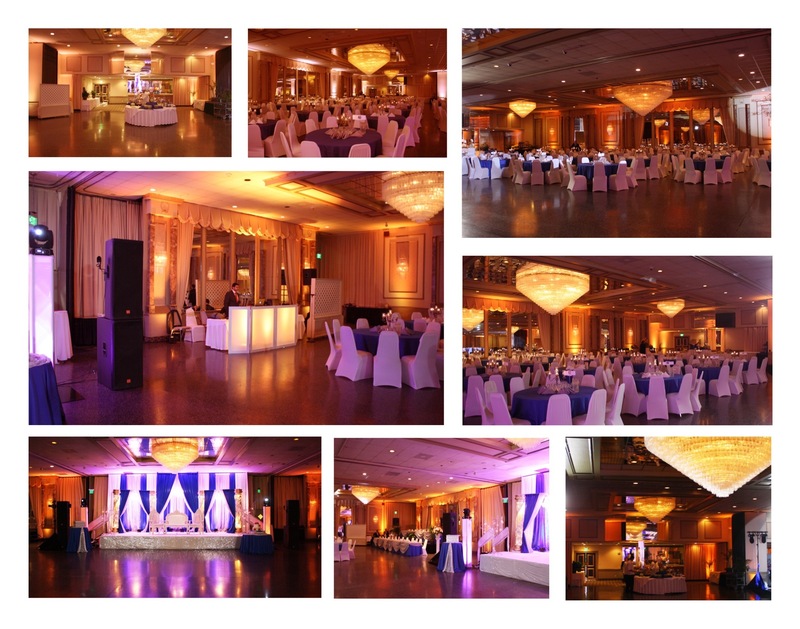 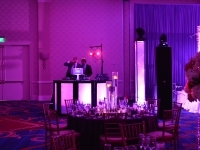 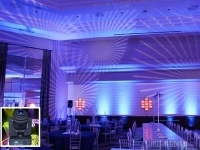 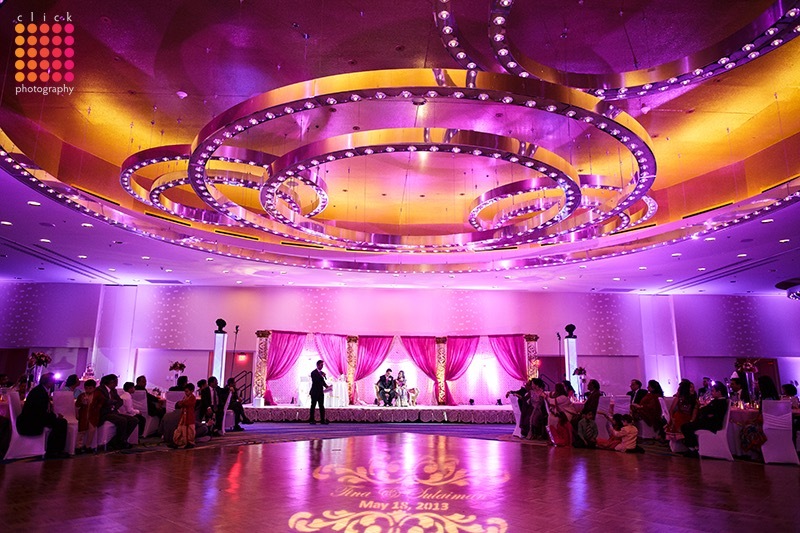 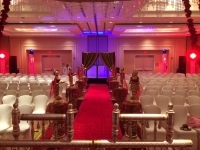 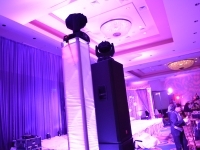 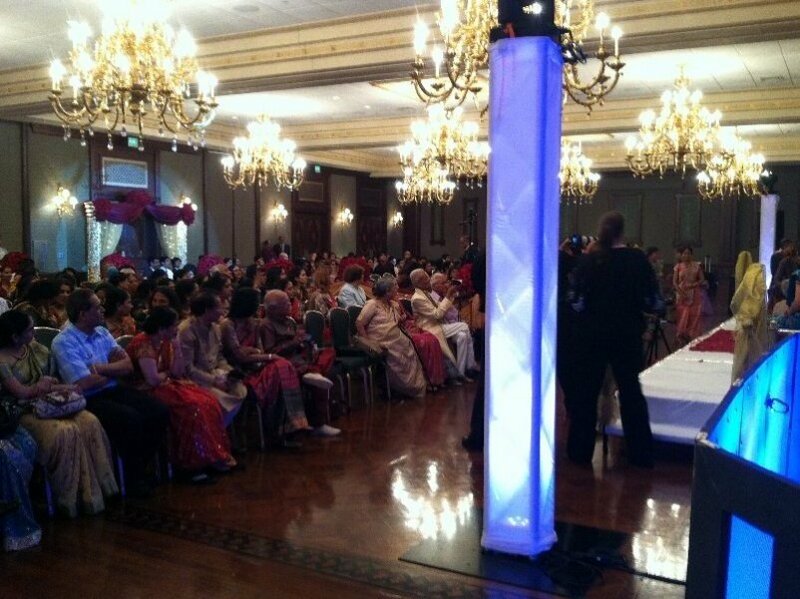 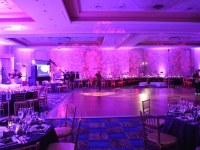 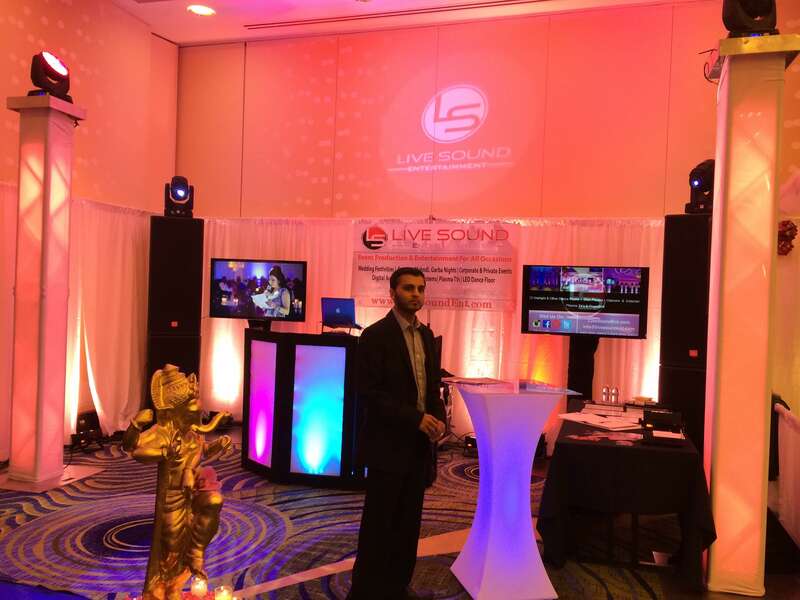 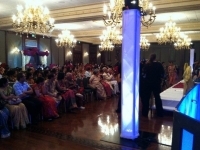 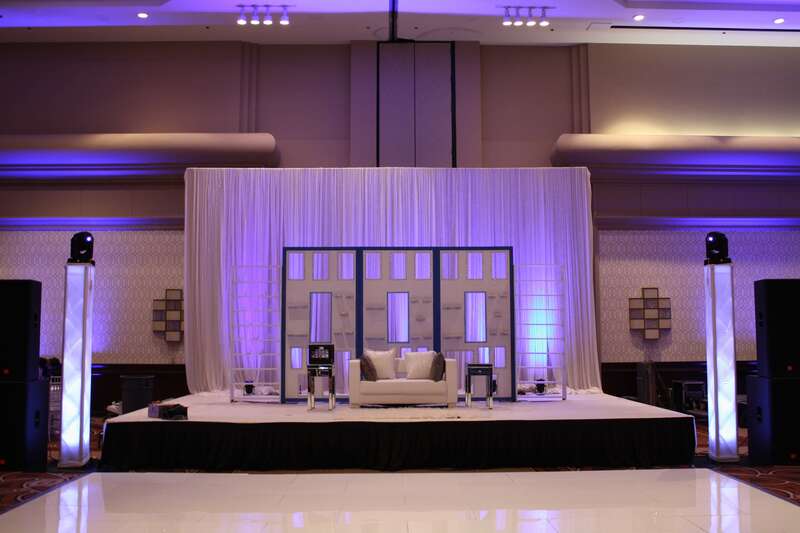 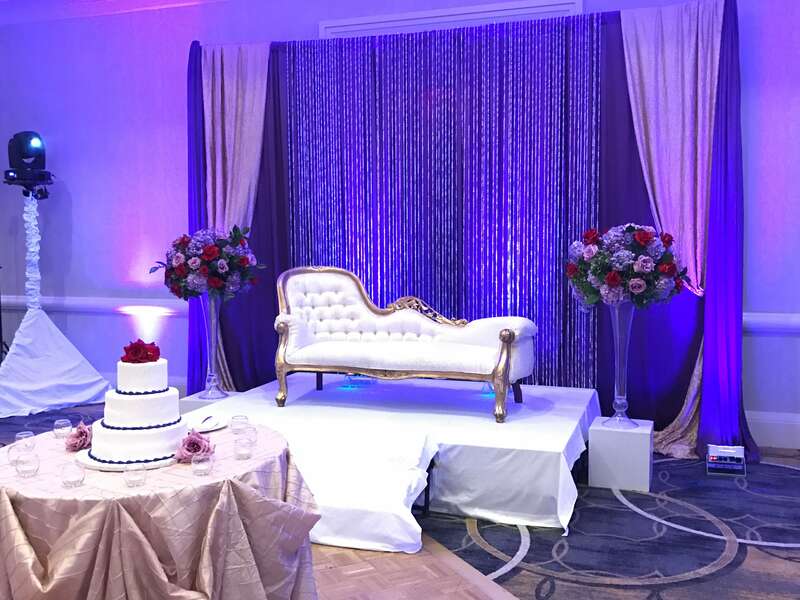 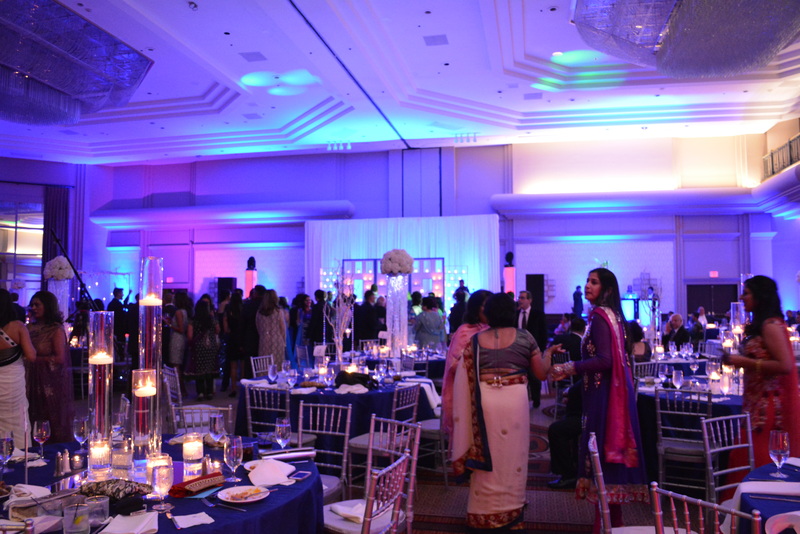 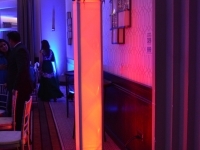 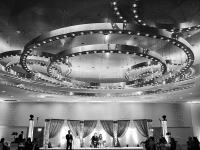 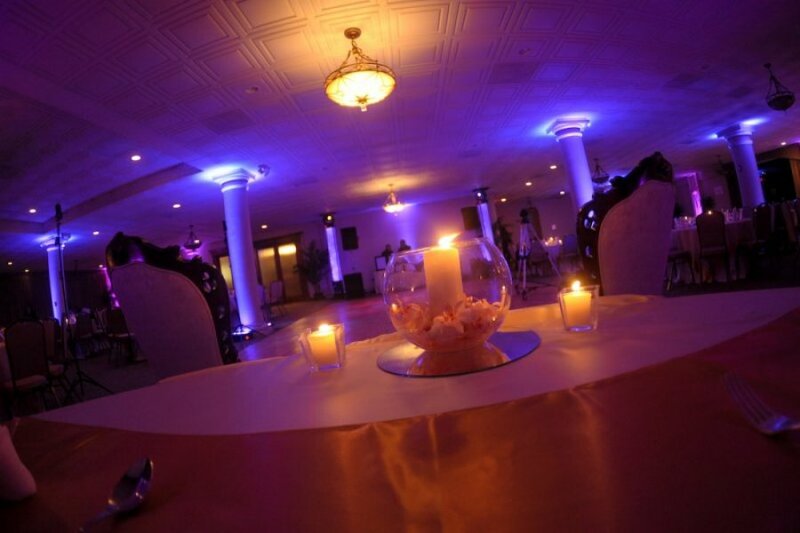 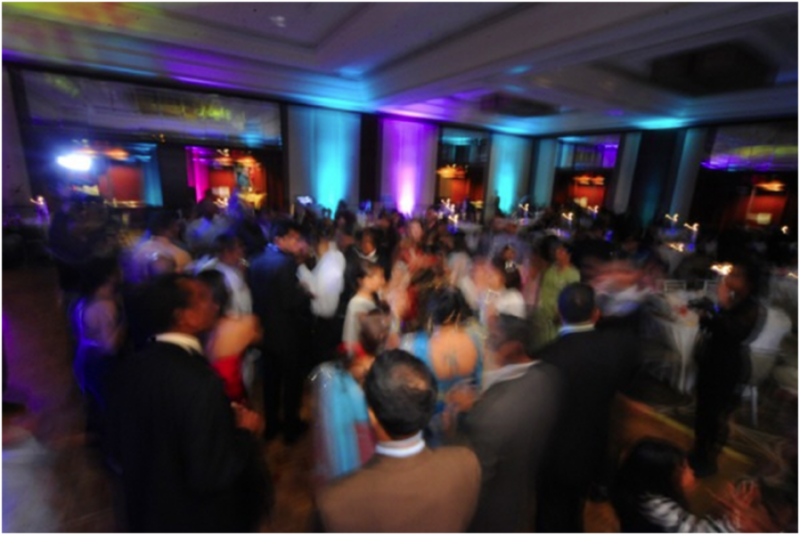 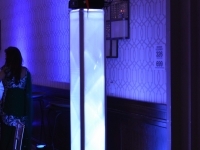 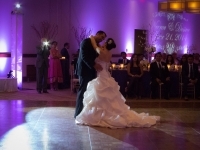 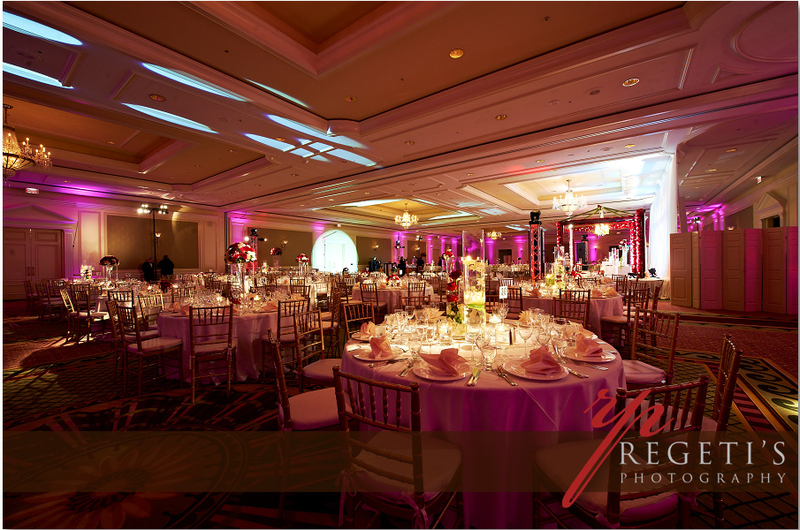 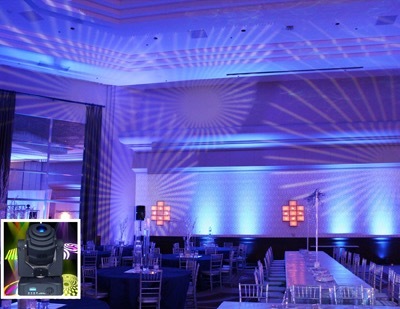 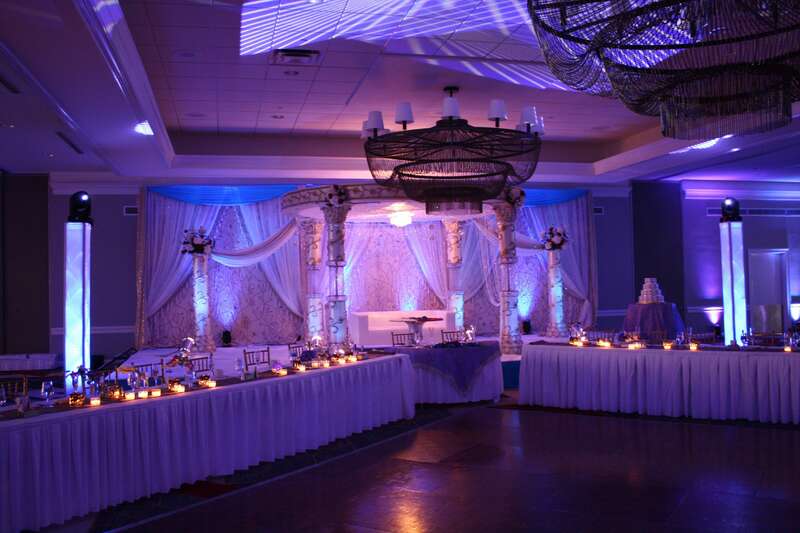 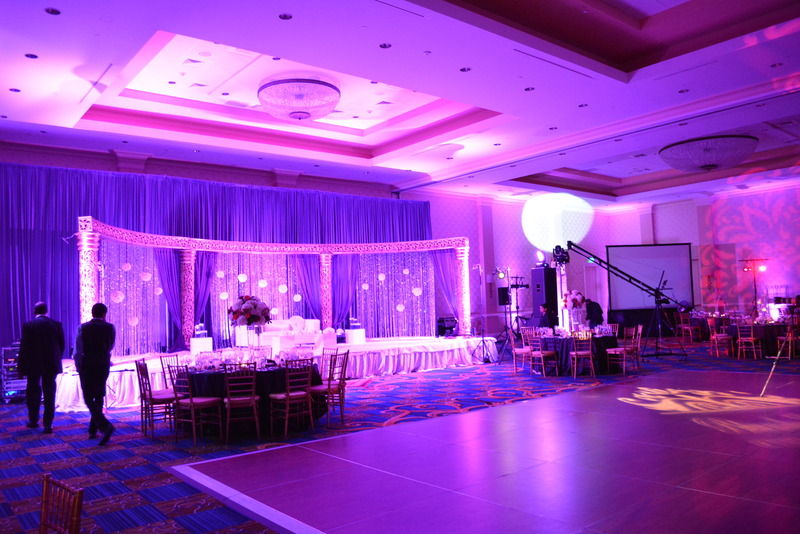 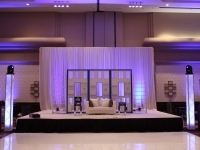 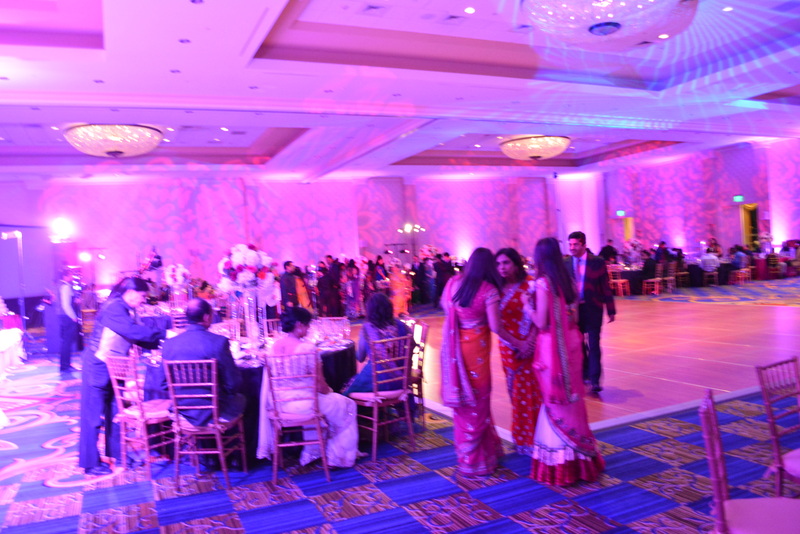 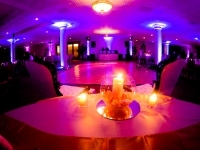 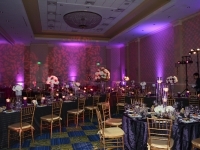 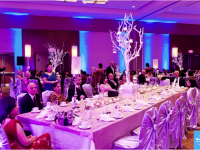 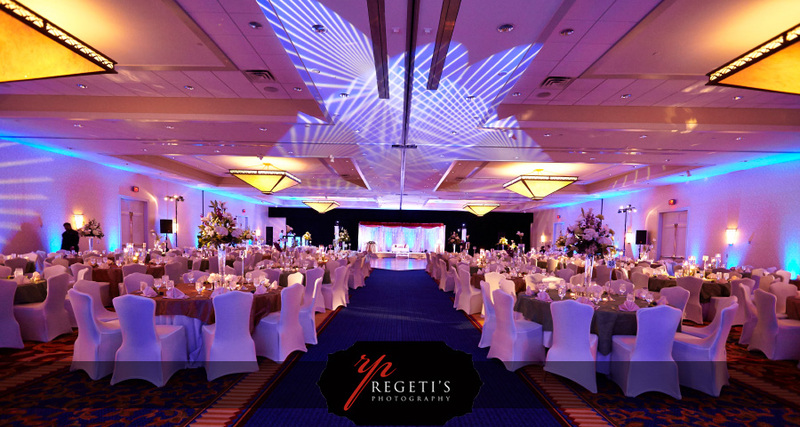 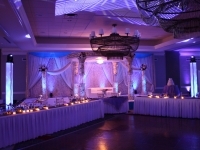 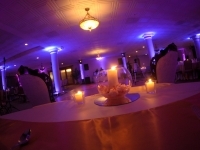 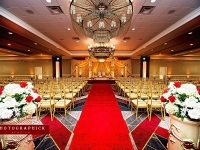 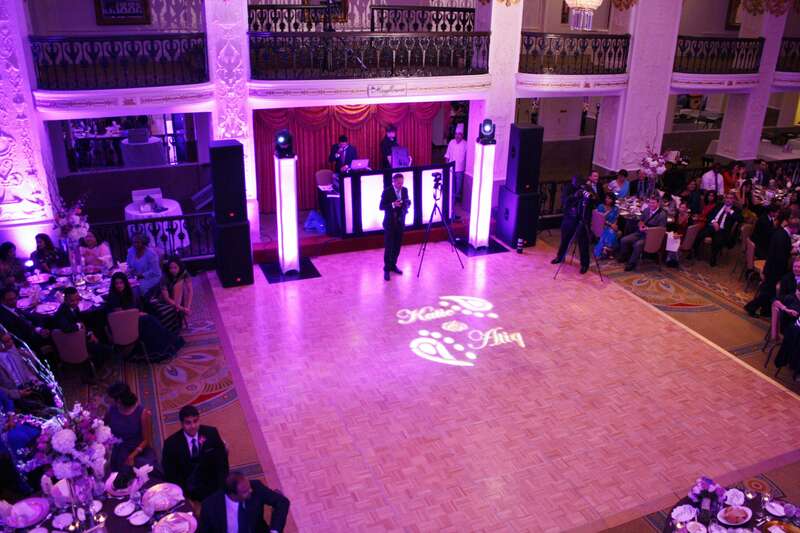 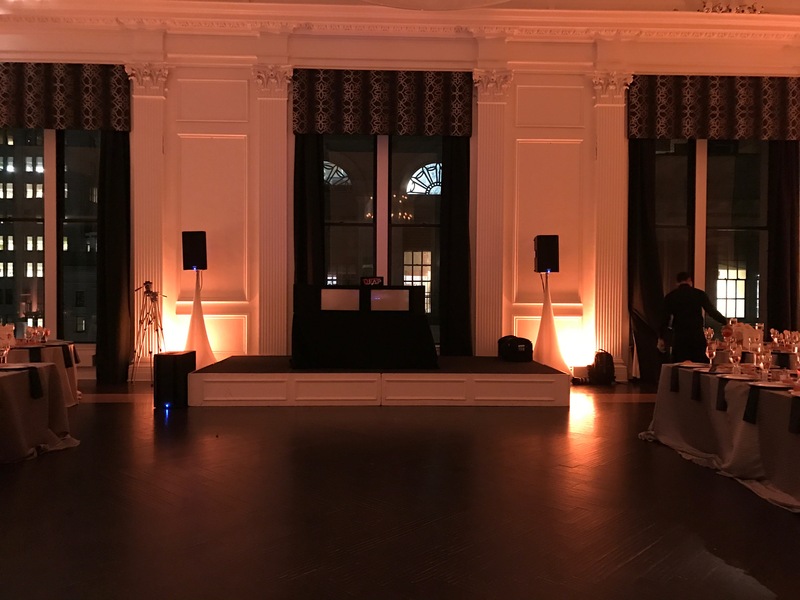 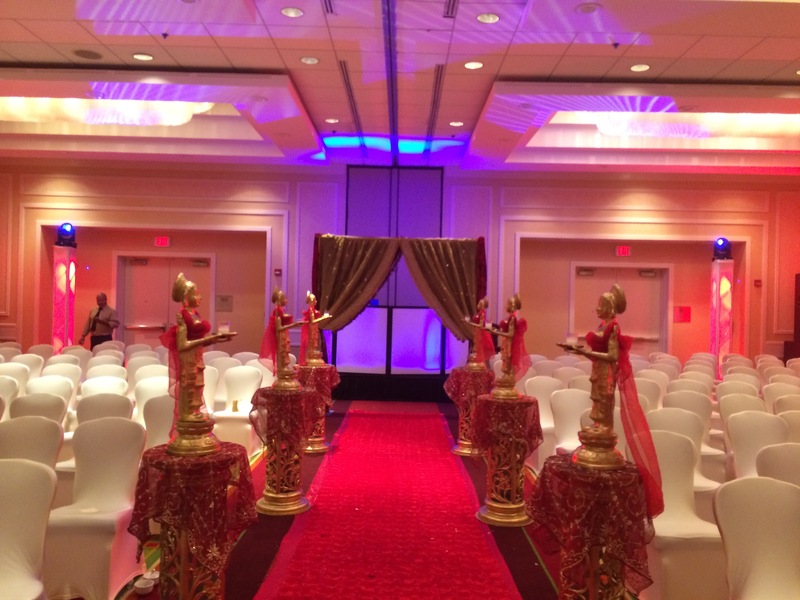 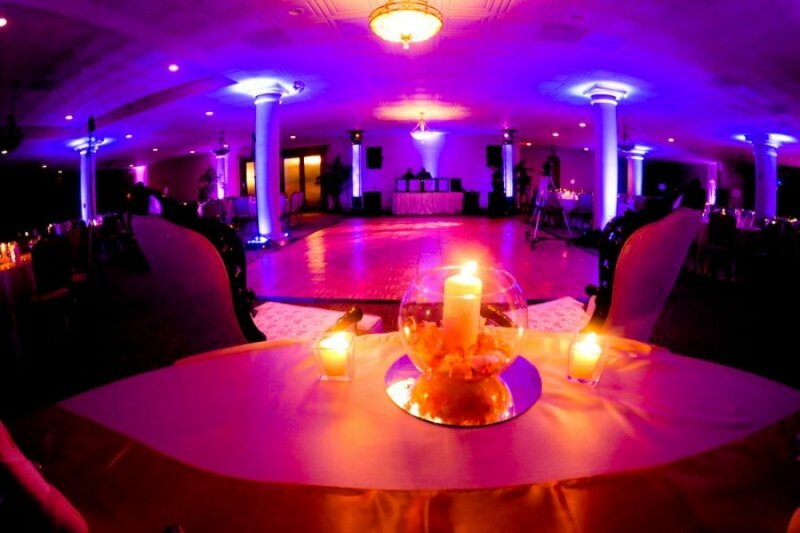 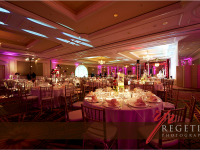 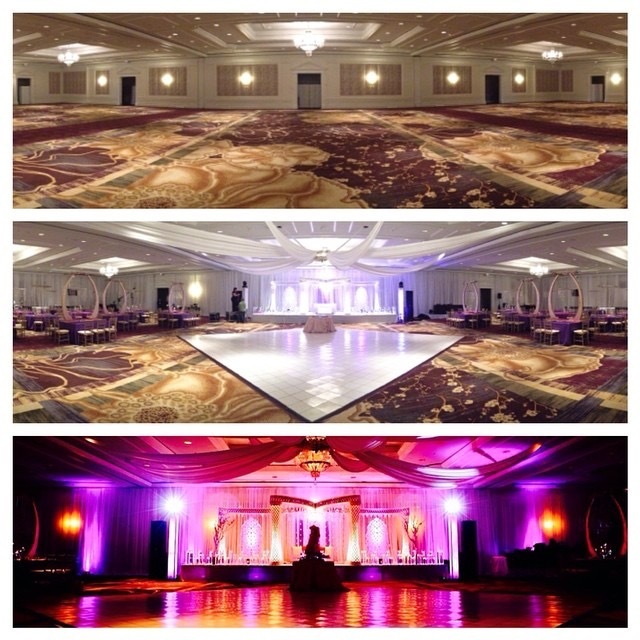 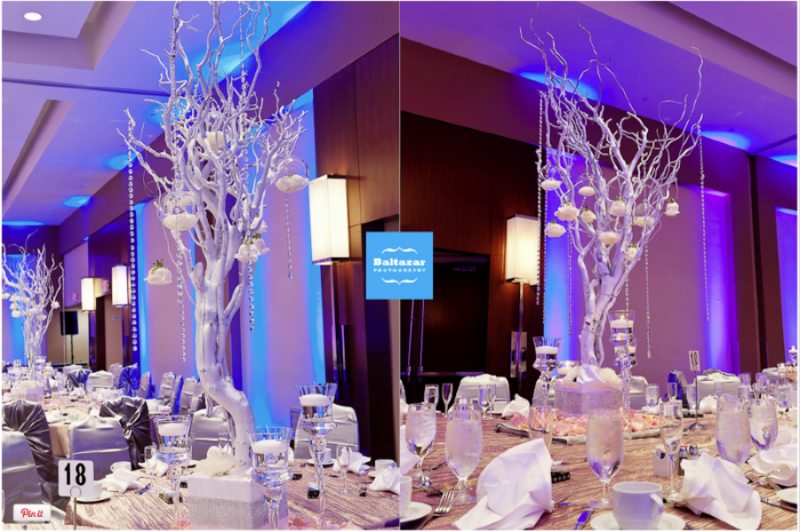 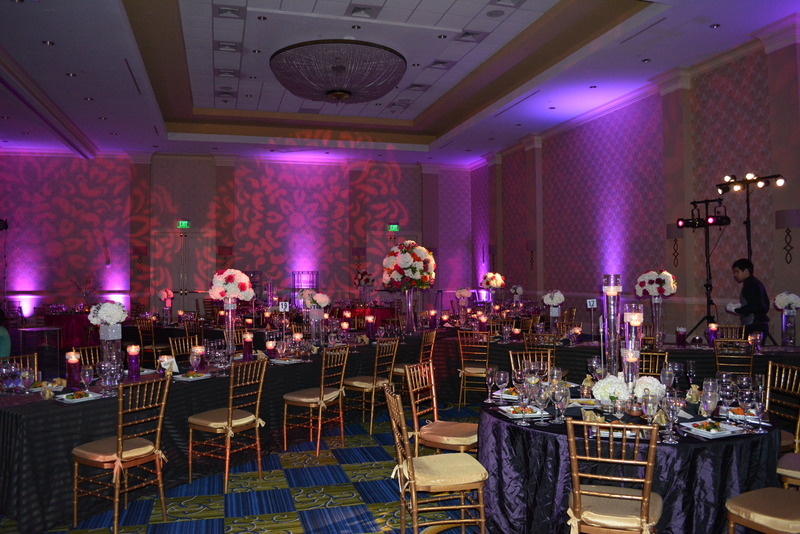 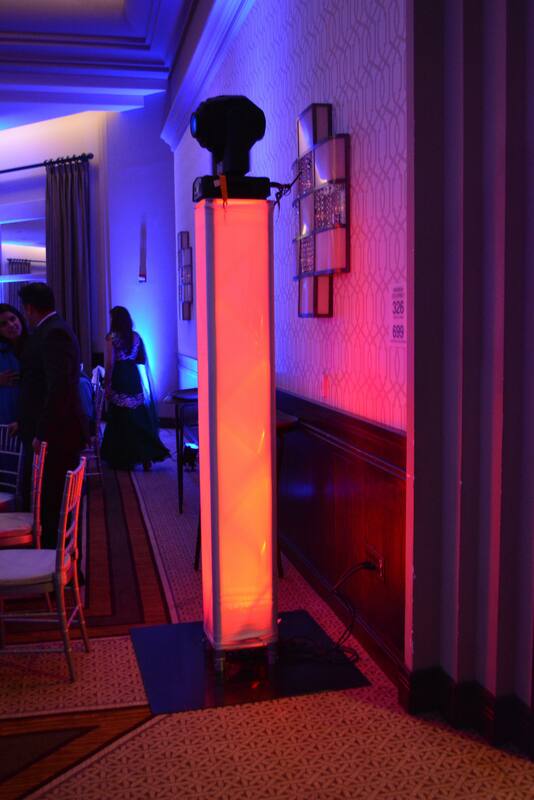 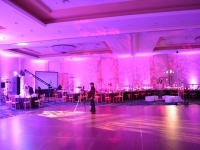 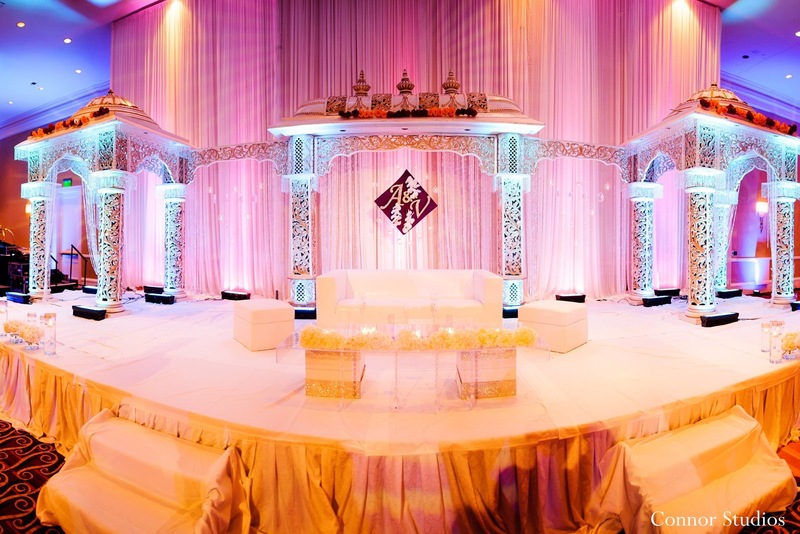 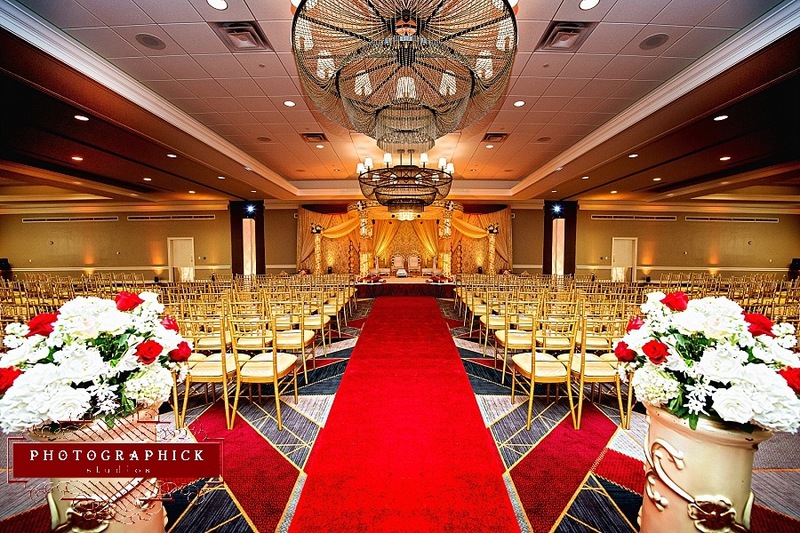 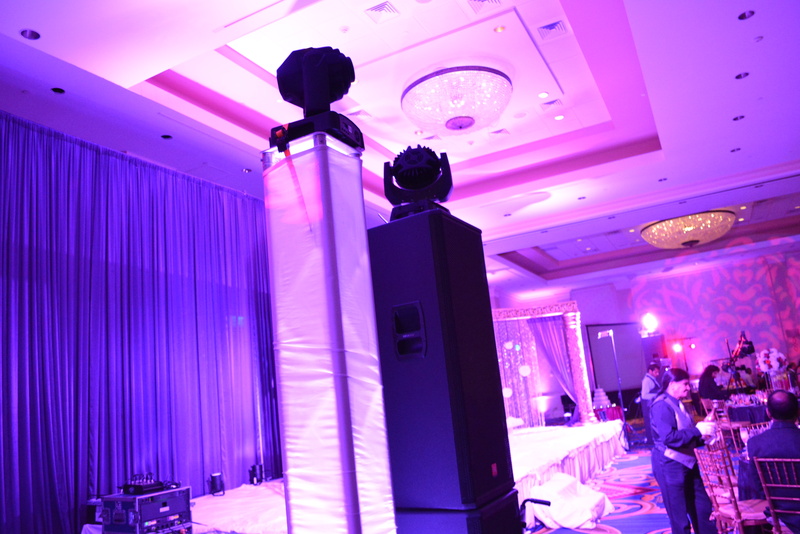 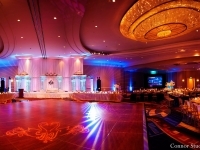 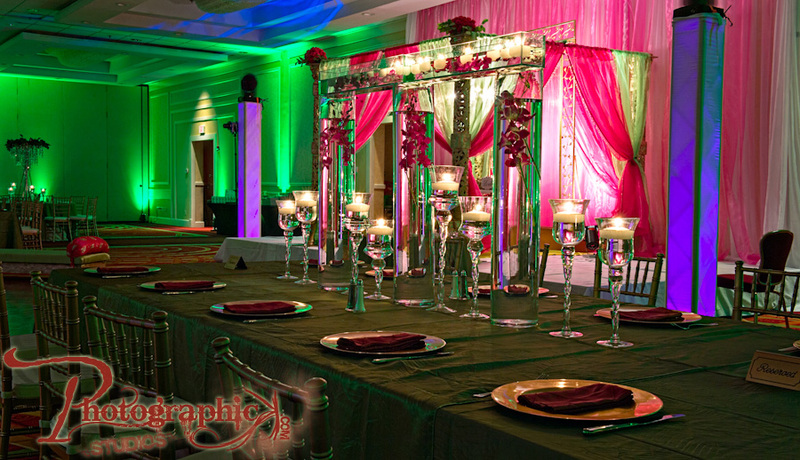 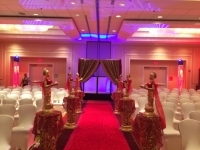 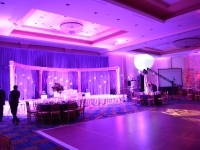 Our wireless LED Up-Lighting will give your event a stunning look and create an elegant atmosphere. 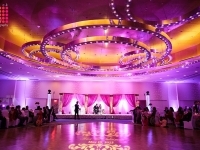 The sequence of lights positioned on the walls around the room shine high with radiant light. 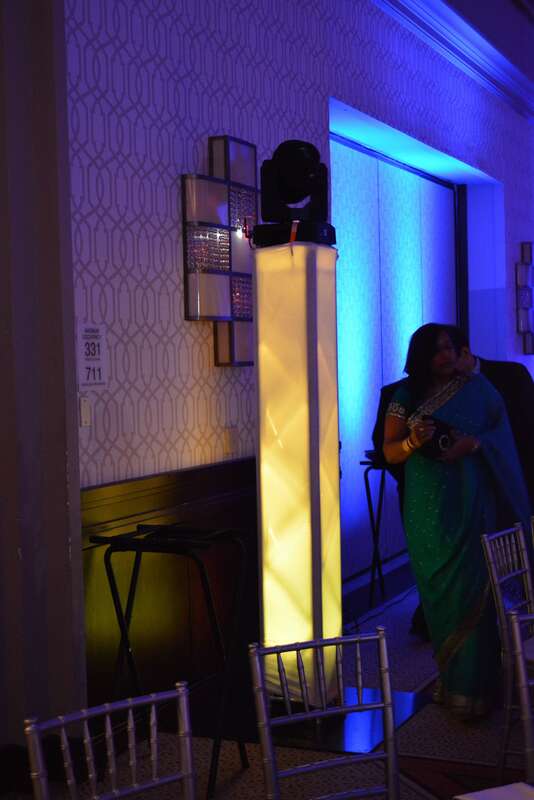 These unobtrusive light fixtures sit on the floor against the wall, and they are an easy way to add a distinctive color to your wedding style. 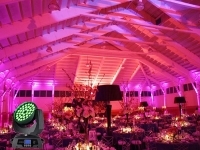 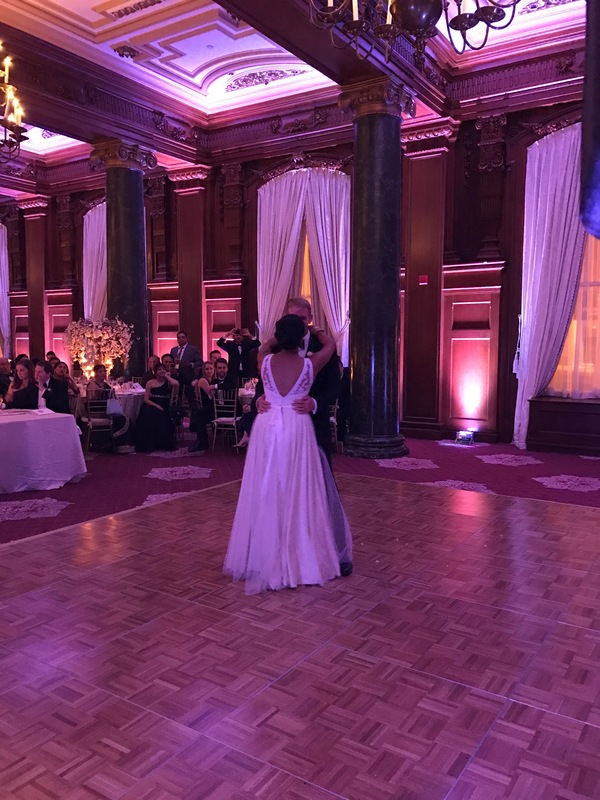 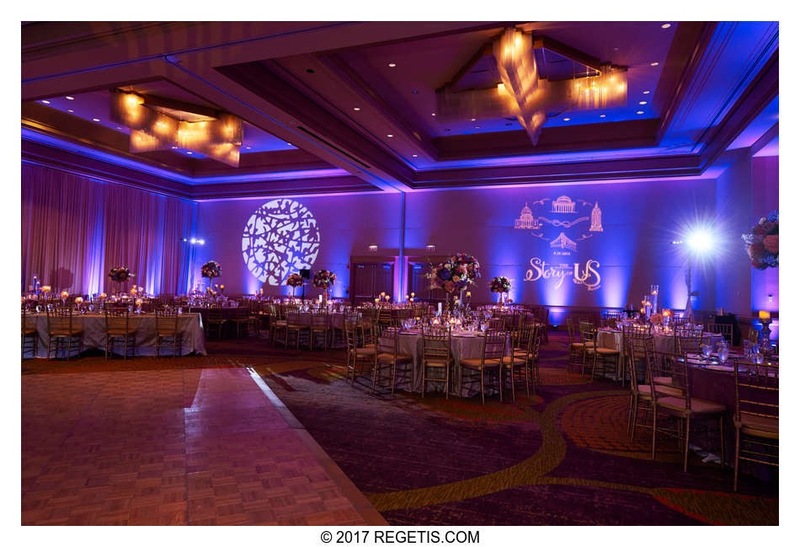 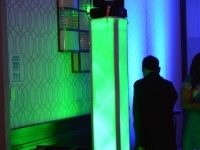 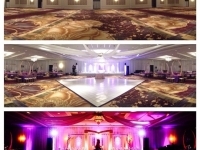 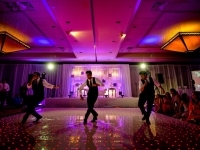 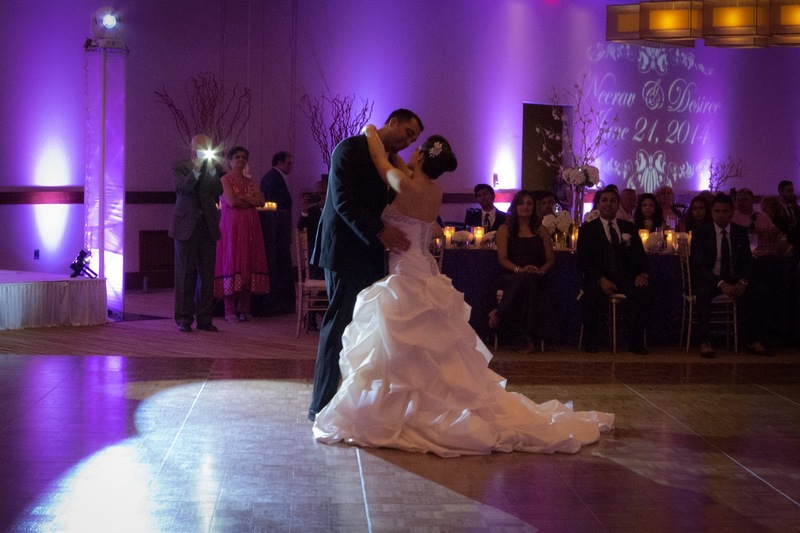 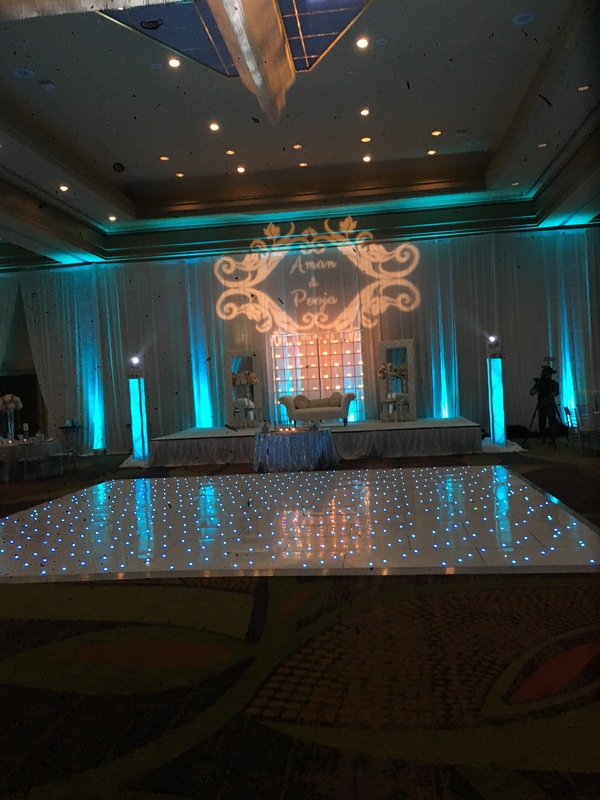 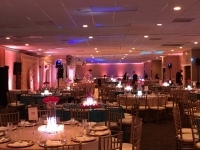 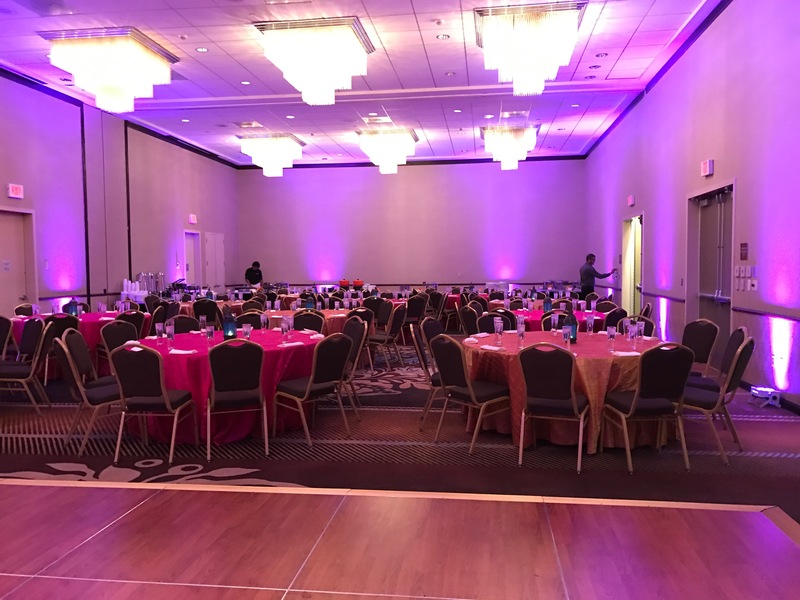 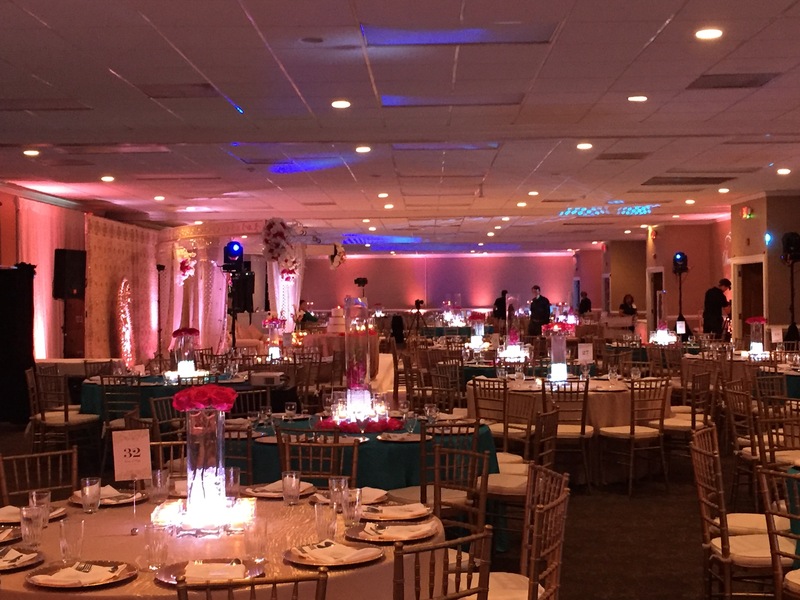 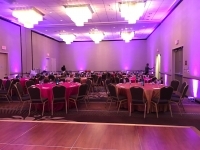 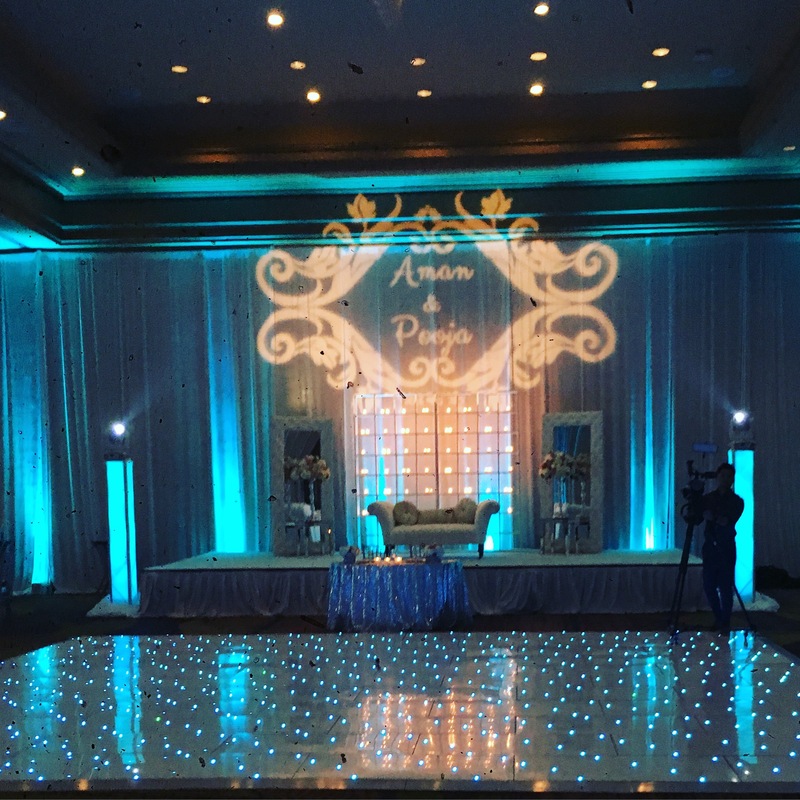 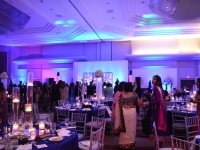 These lights provide the flexibility to mix and match thousands of different color combinations that you match to your wedding colors and theme. 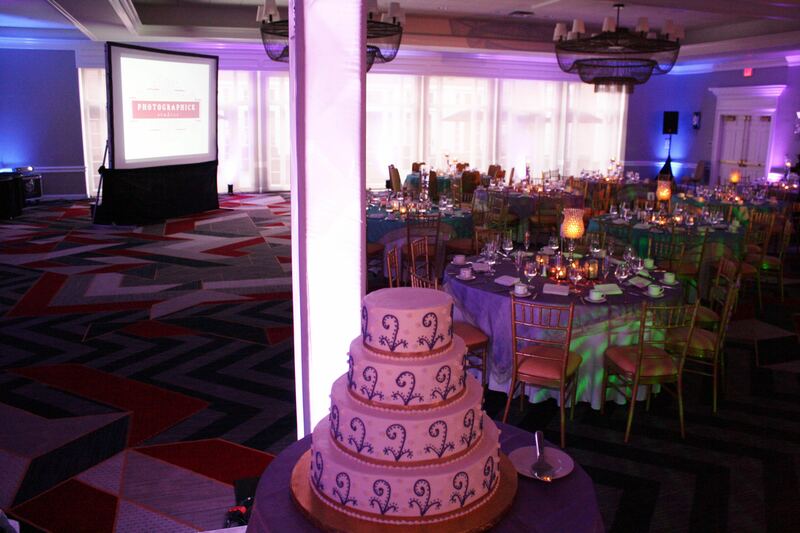 Our Intelligent Lighting shows put the icing on the cake. 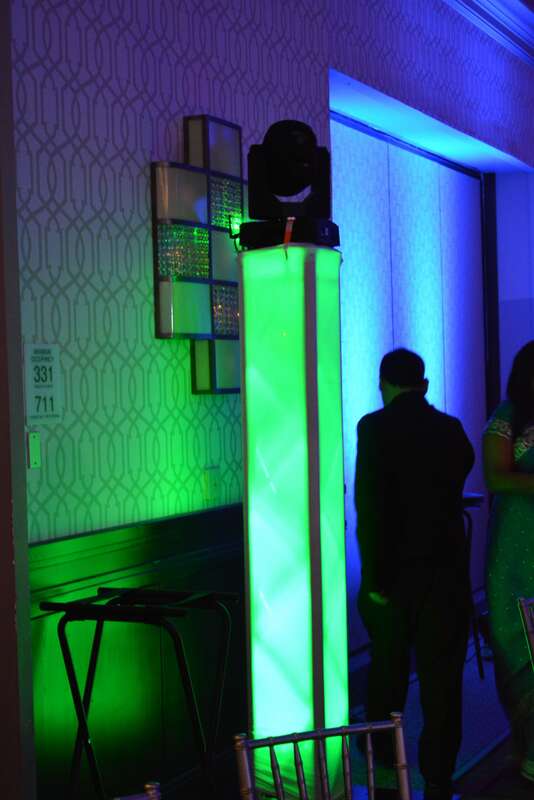 This computer controlled lighting system change their speed, color, pattern, and movement based on the rhythm of the music being played or by the DJ’s input. 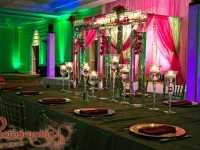 They also let us project an array of different colors and patterns around the room. 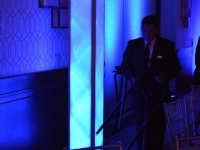 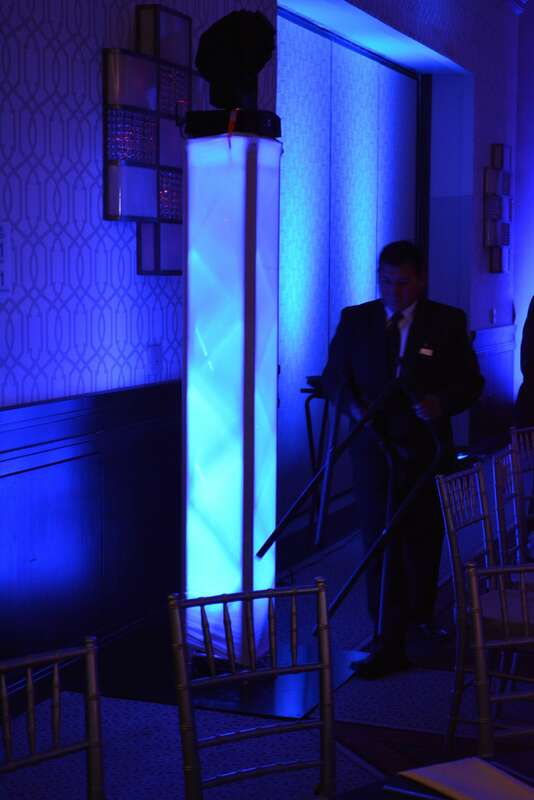 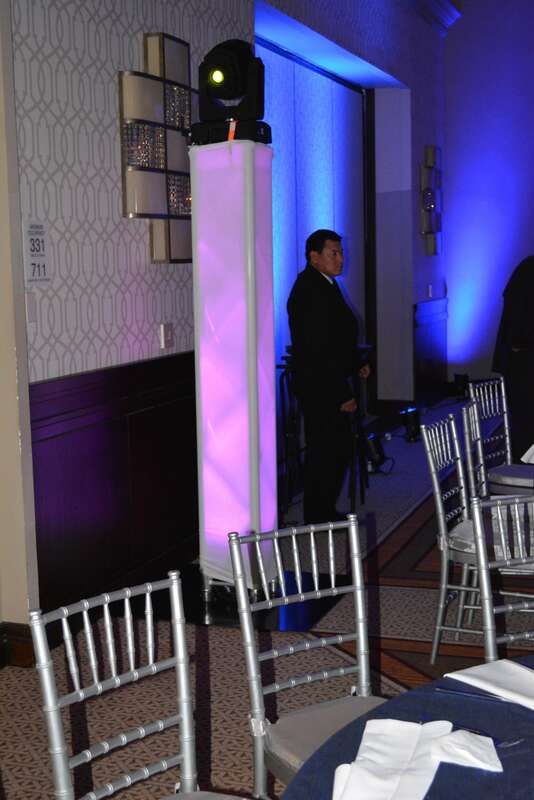 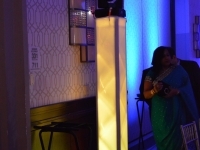 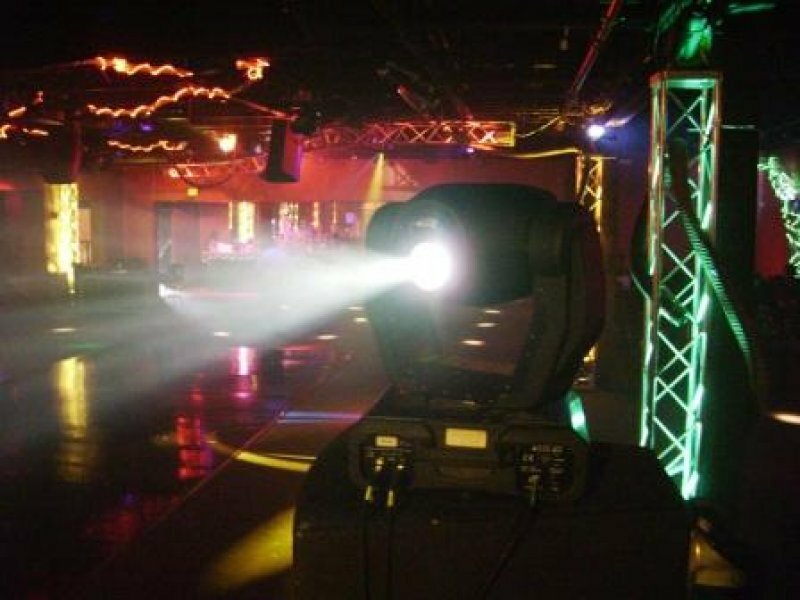 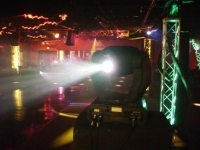 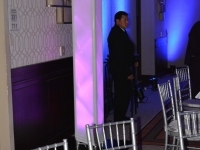 These lights can be used to illuminate entrances, cake tables, head tables, and can be used as moving spot lights. 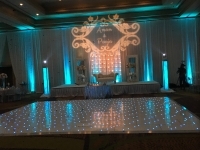 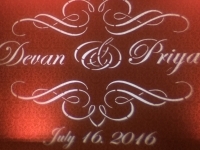 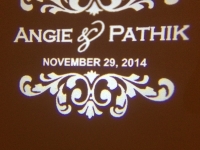 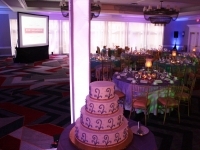 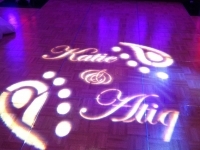 Personalized Monograms are a great way of personalizing your event. 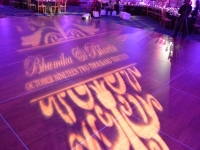 As one of our most popular requests, each monogram is custom designed to include the Bride & Groom’s name, initials, date of event, logo, or any personal message you choose. 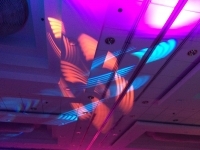 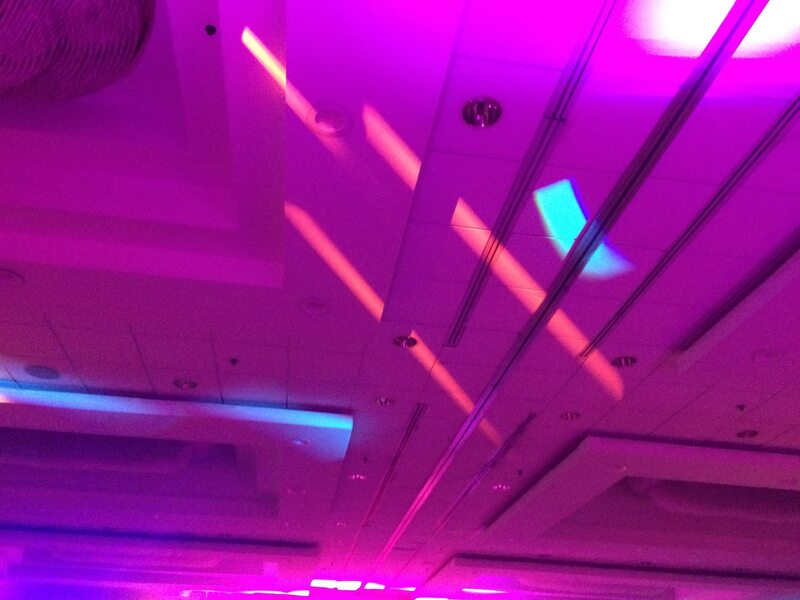 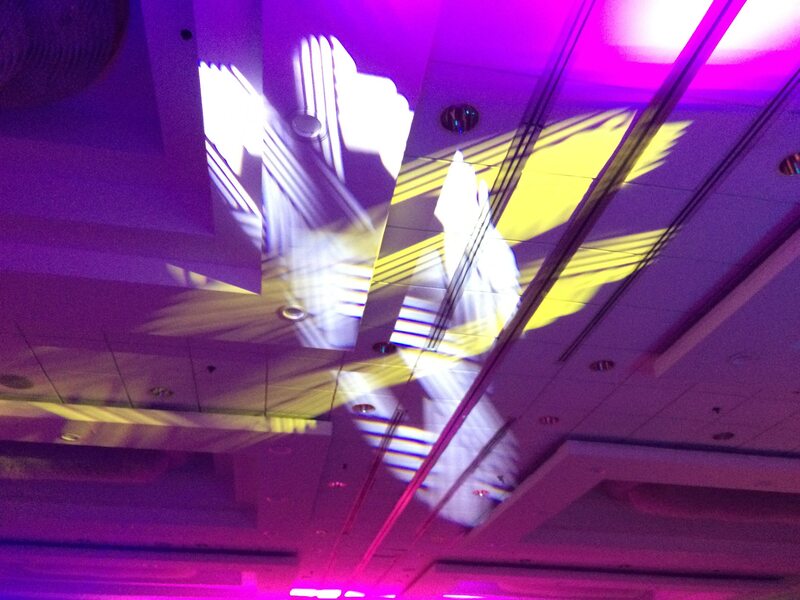 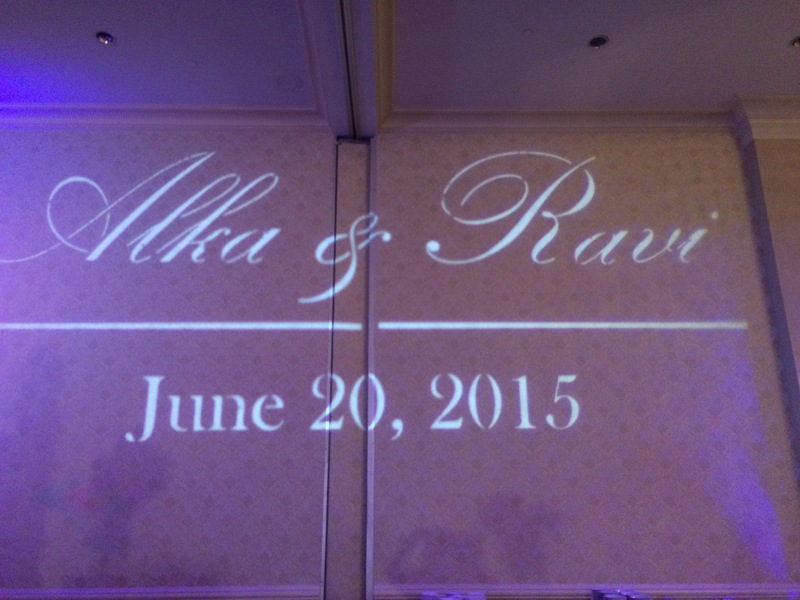 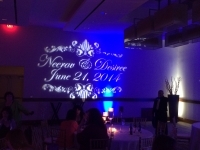 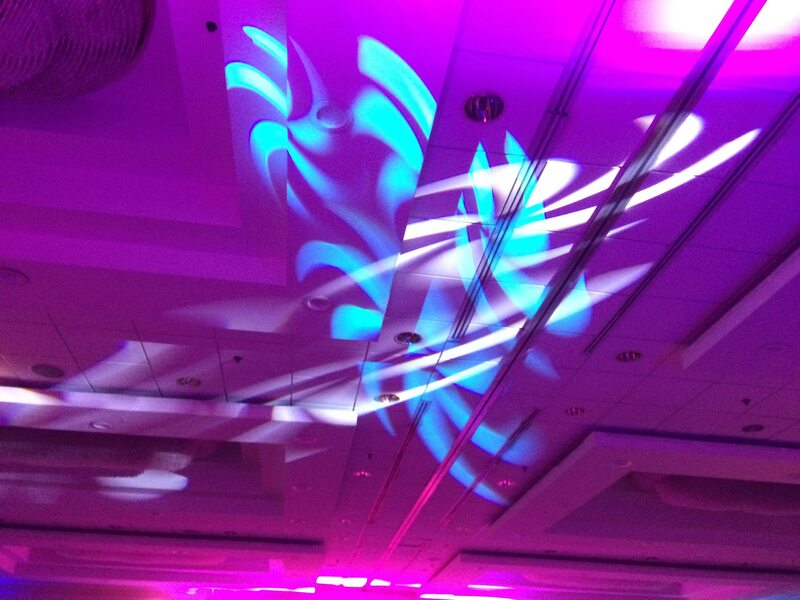 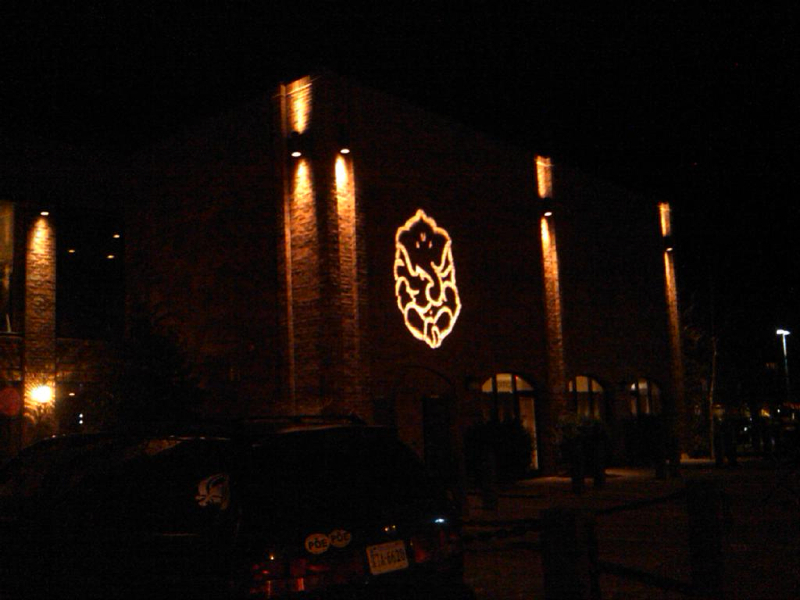 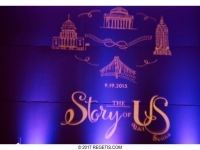 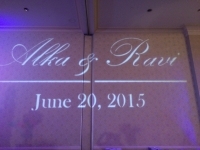 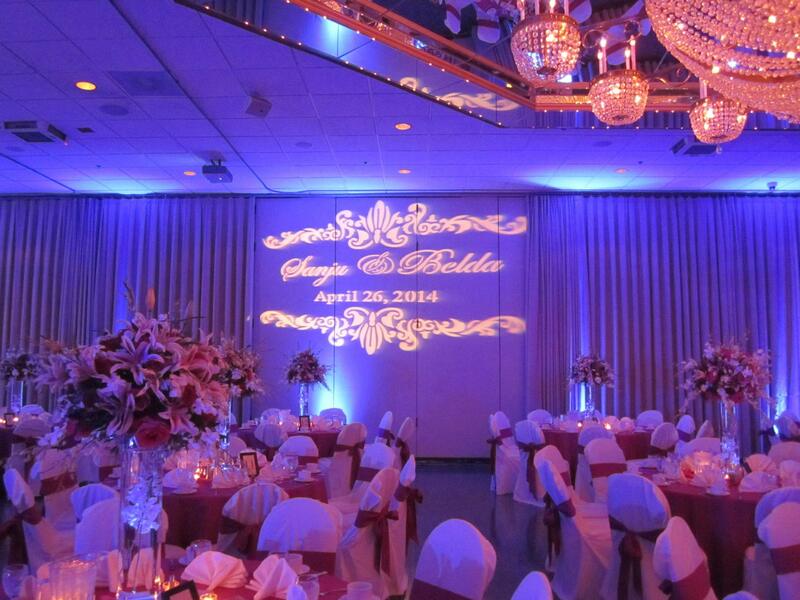 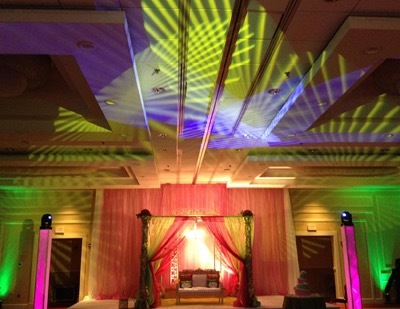 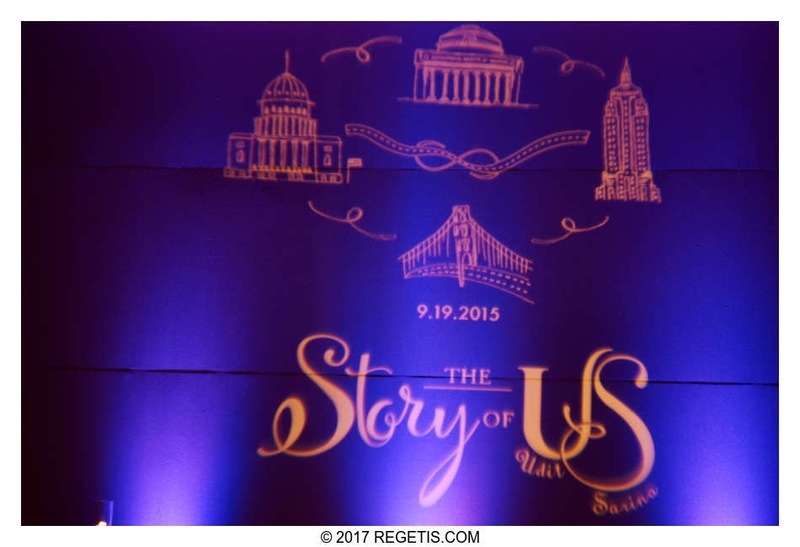 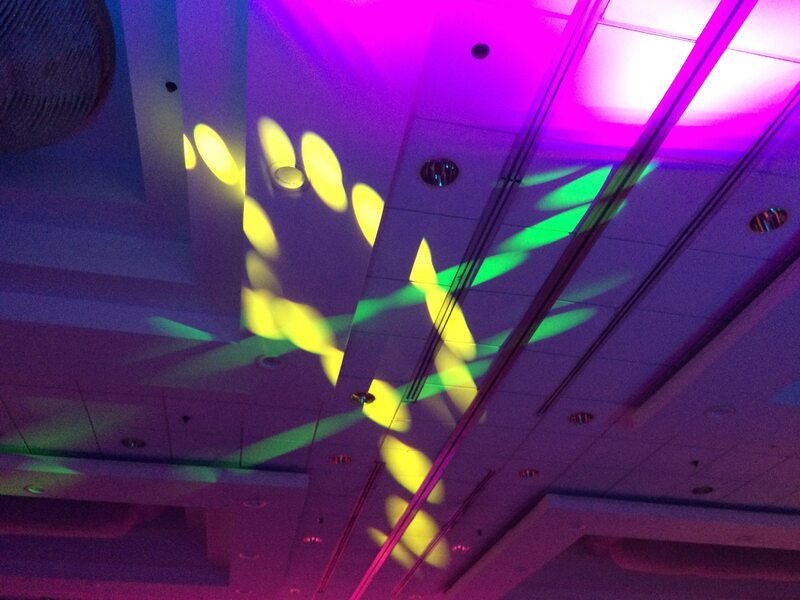 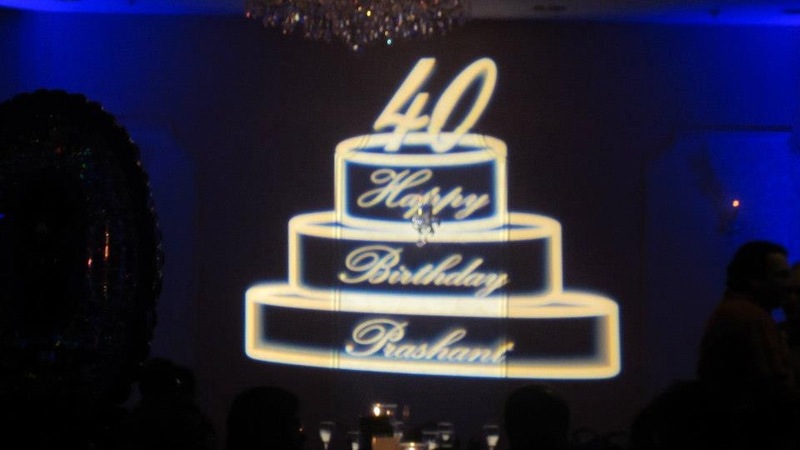 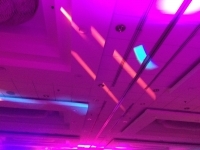 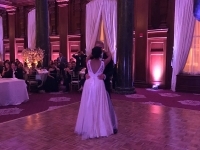 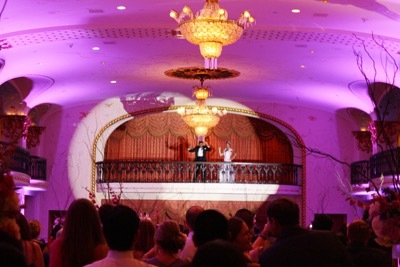 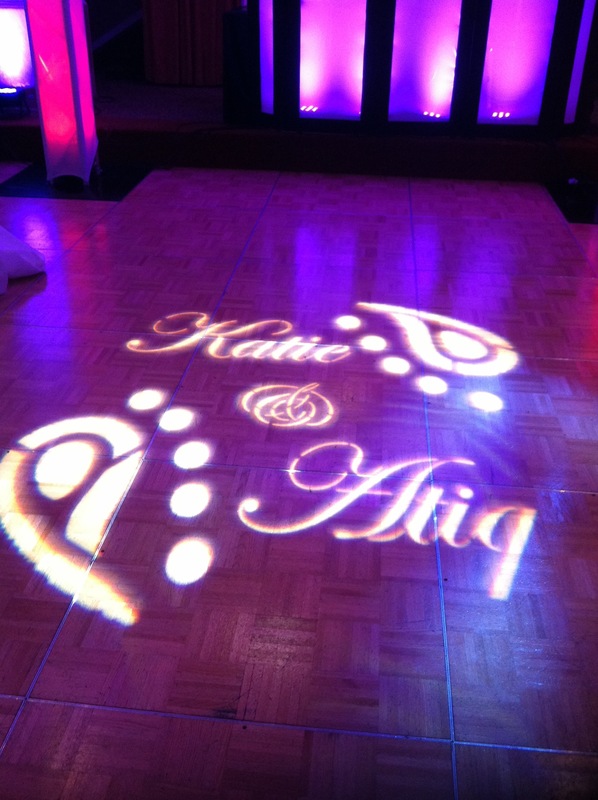 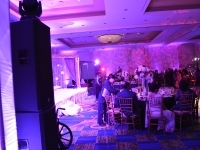 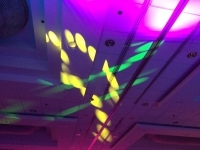 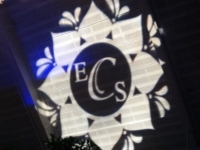 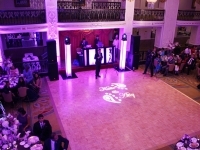 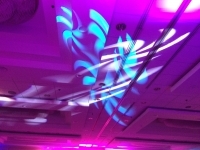 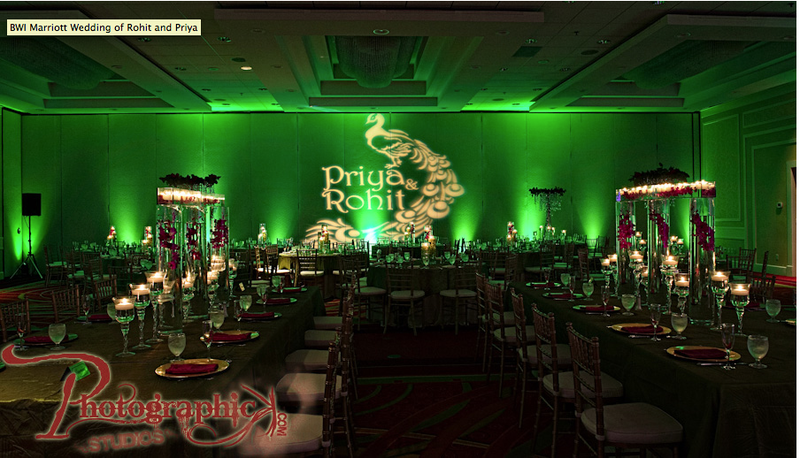 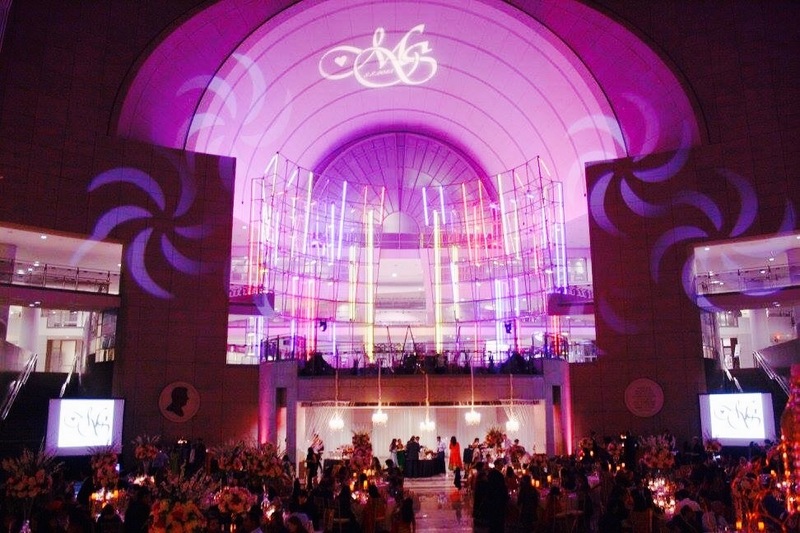 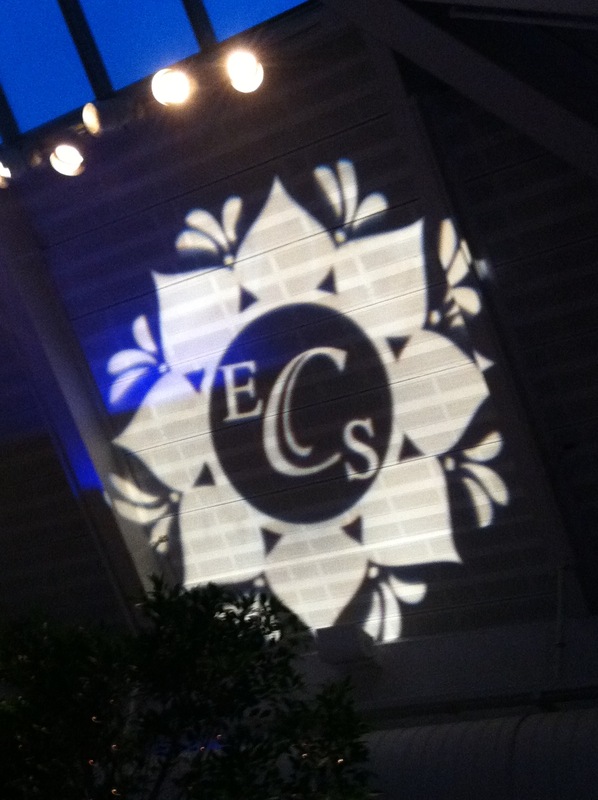 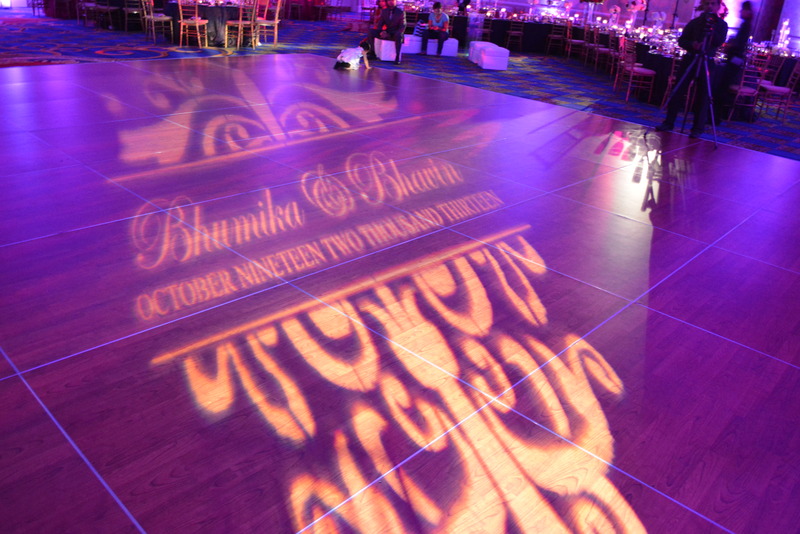 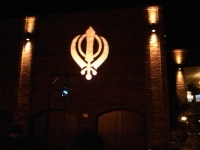 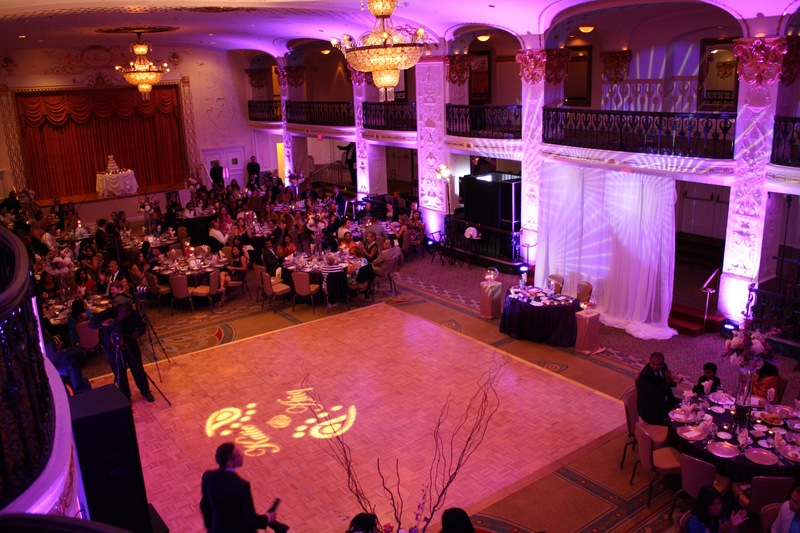 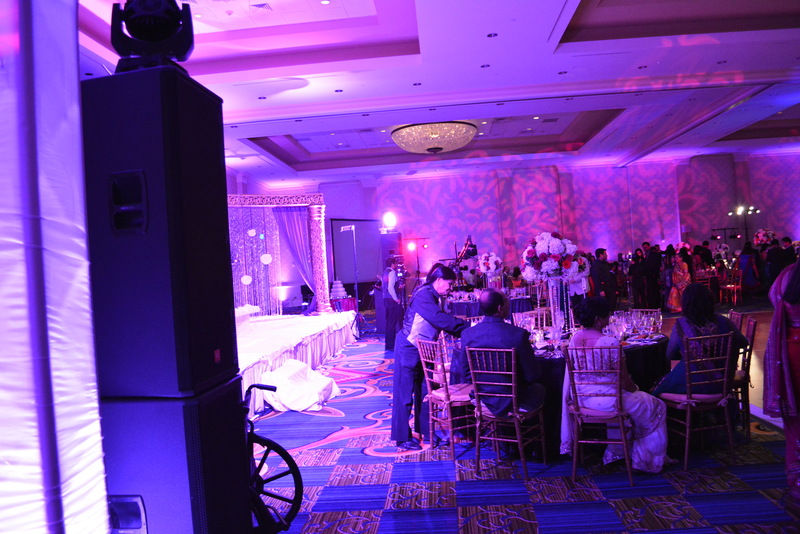 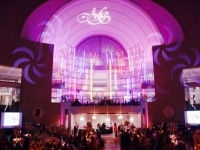 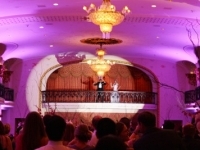 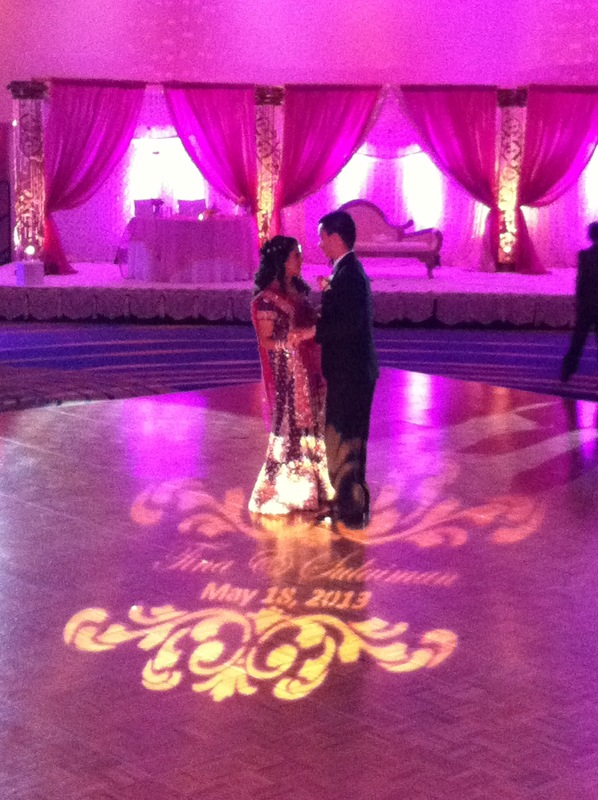 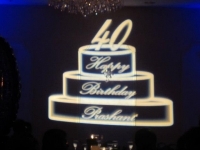 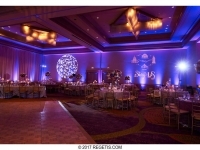 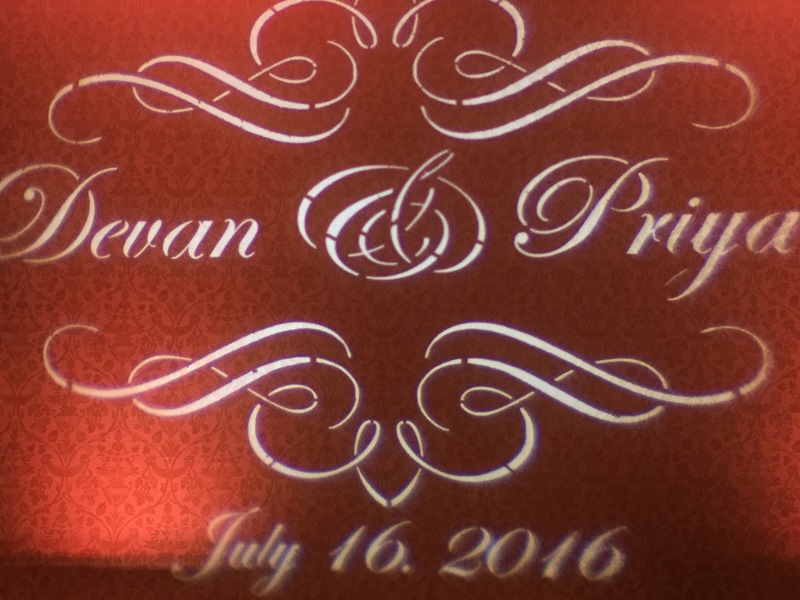 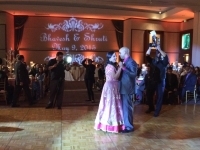 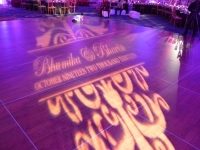 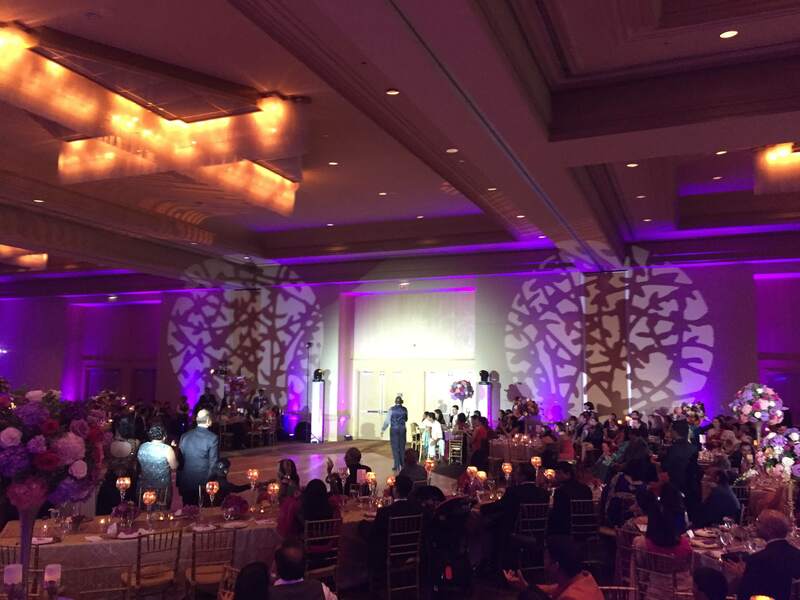 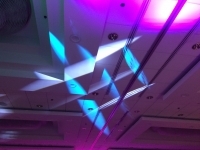 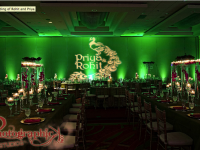 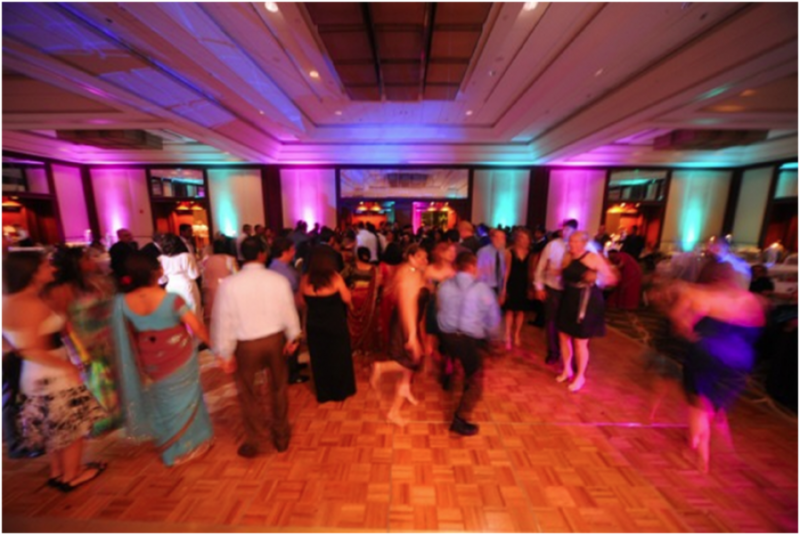 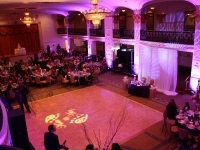 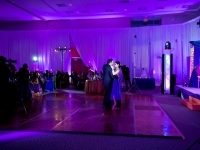 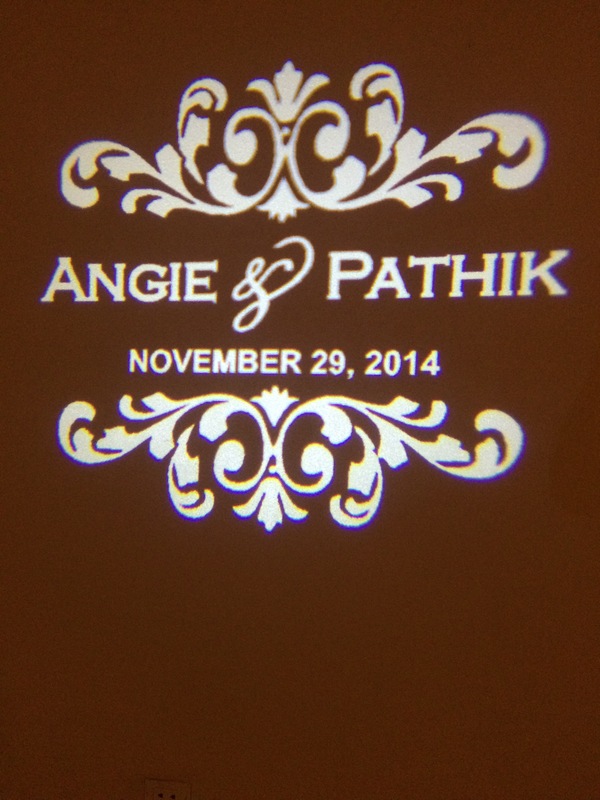 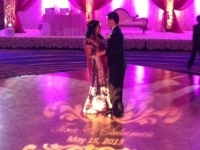 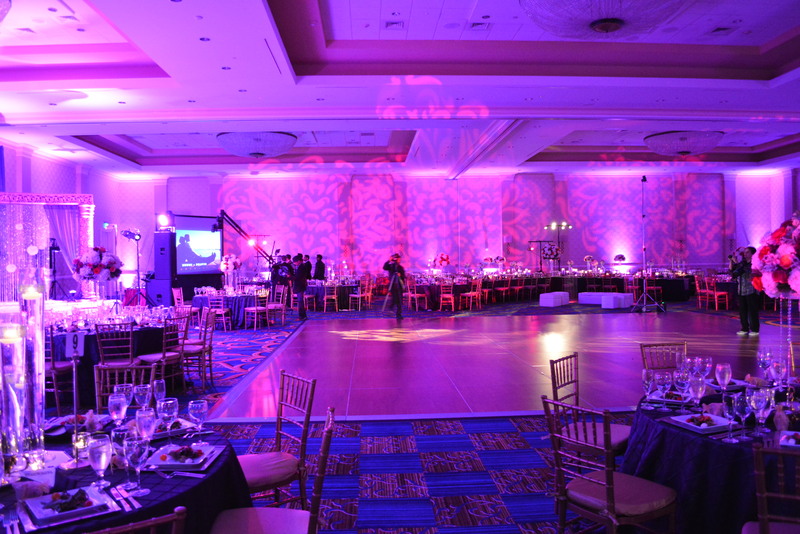 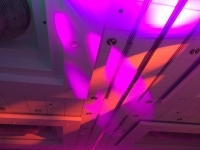 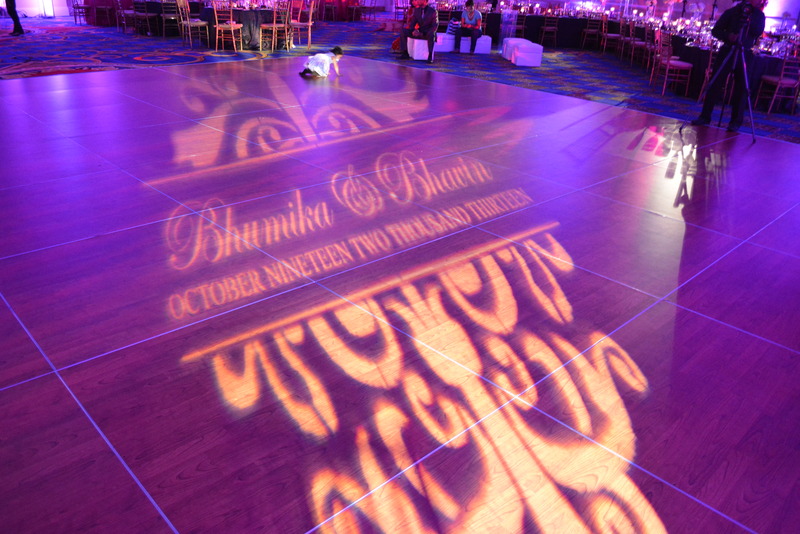 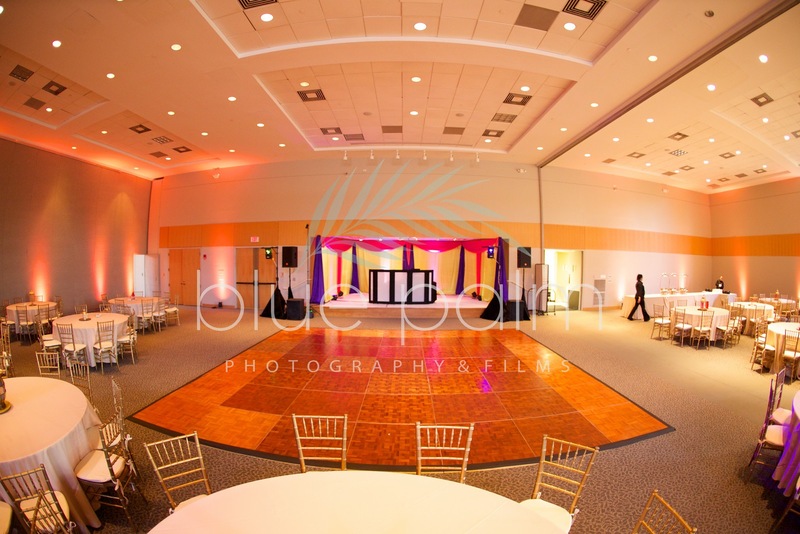 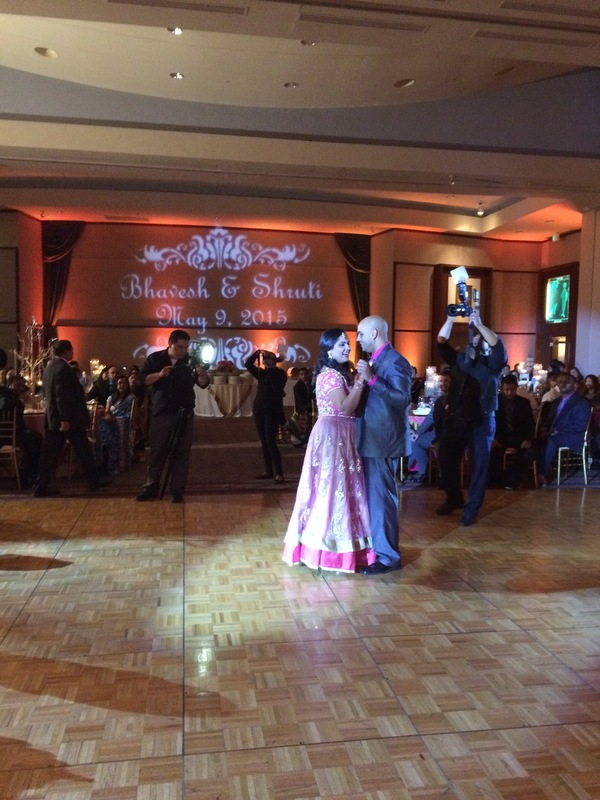 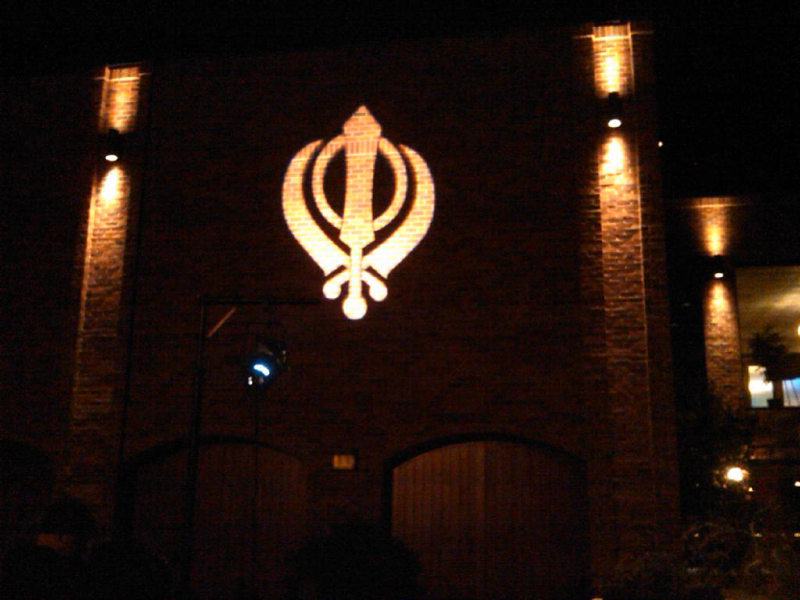 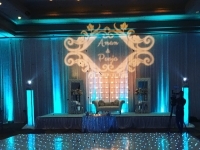 Your personal message can be projected on the wall (interior/exterior), ceiling, or on the dance floor at your event.